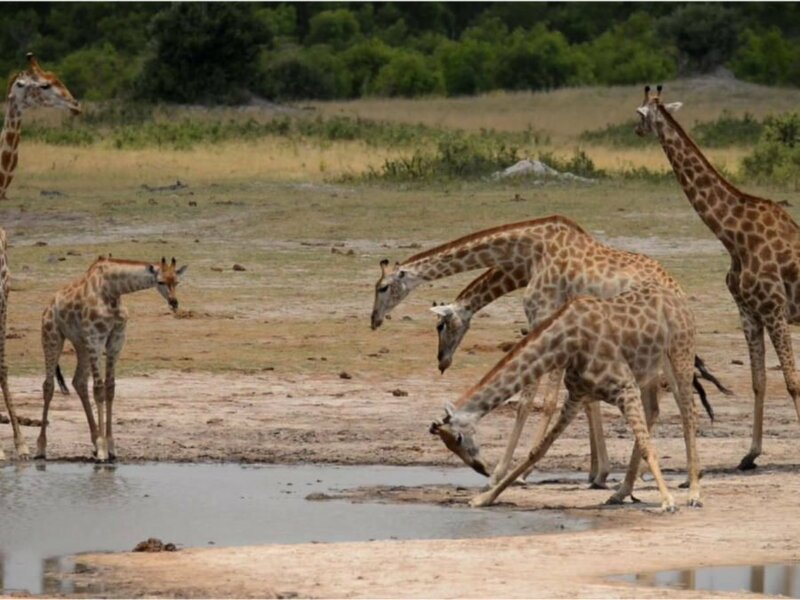 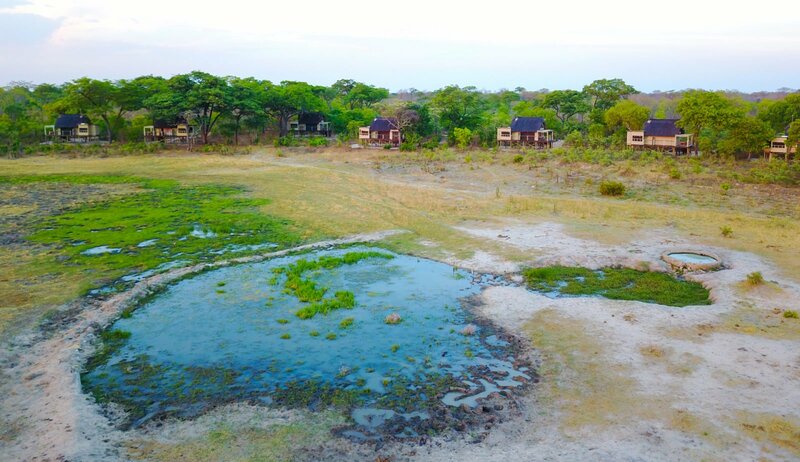 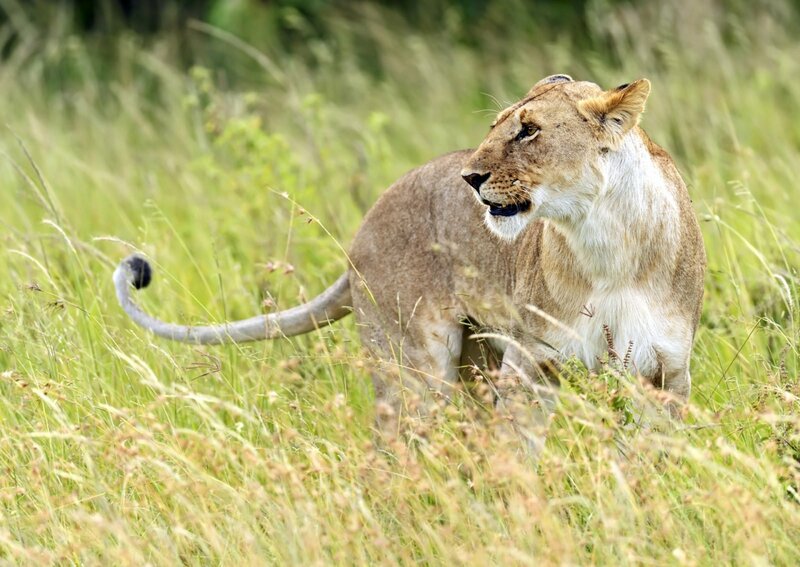 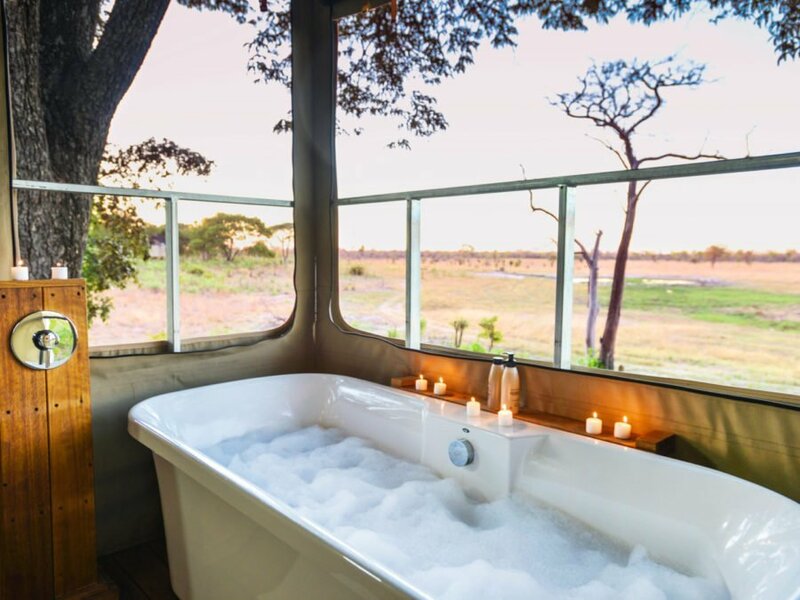 Hwange National Park is one of Zimbabwe’s most unspoiled wilderness areas – an apt reflection of pure Africa. 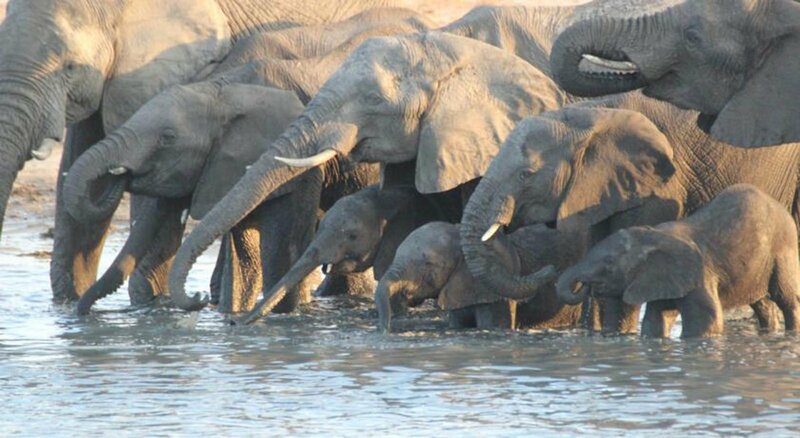 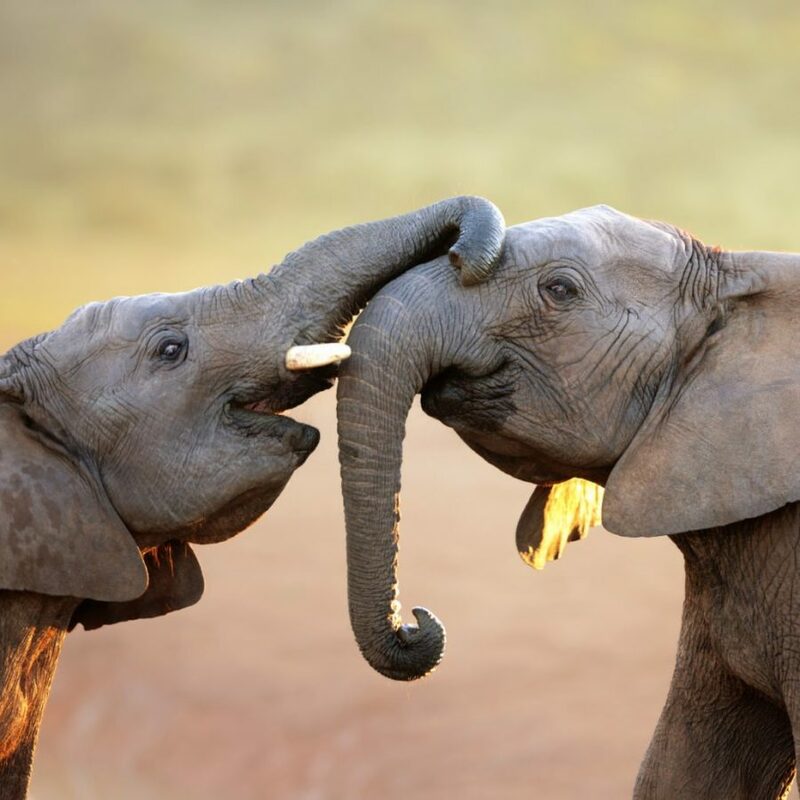 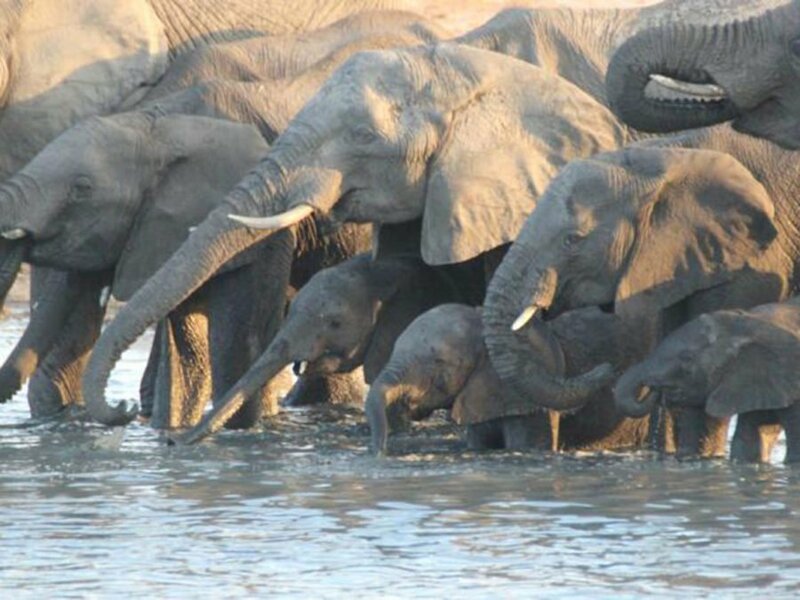 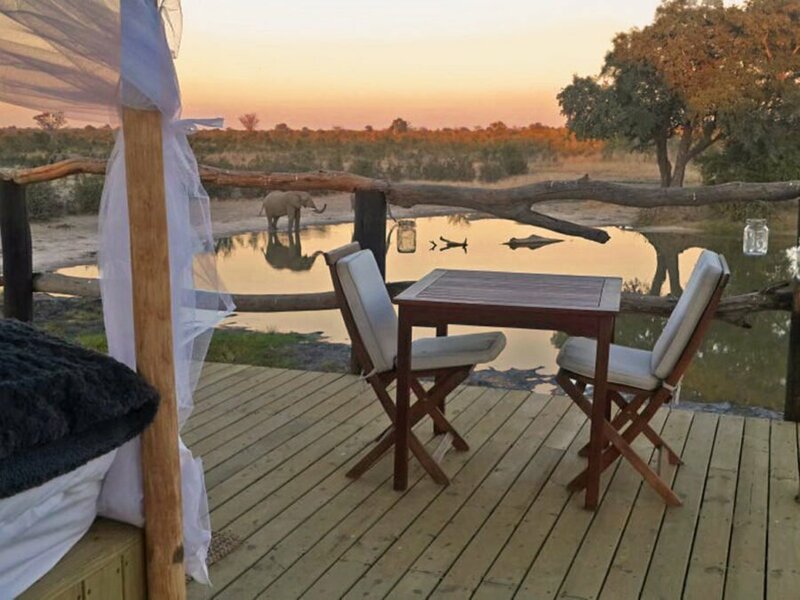 It is here where enthusiastic African travellers witness true wildness when immersing themselves into a world where elephants roam freely through the African savannah and nature takes its course daily in spectacular ways. 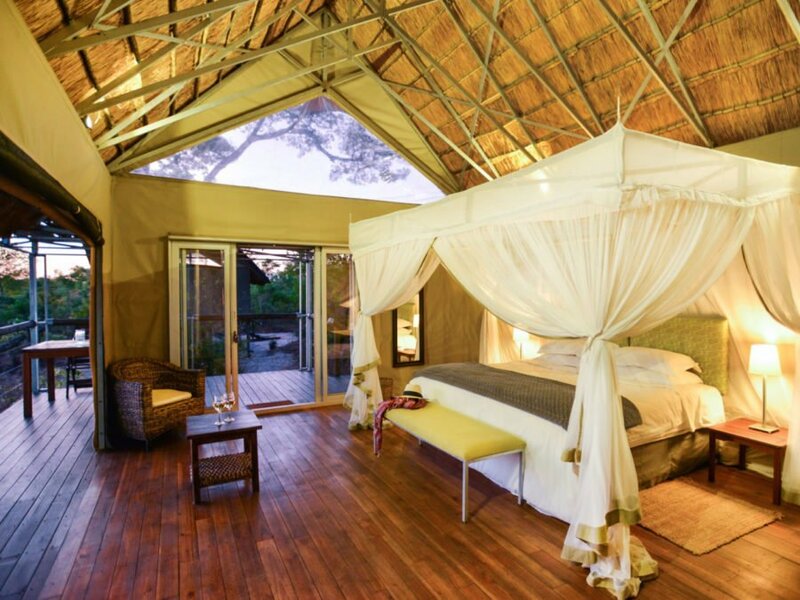 Situated on a large wildlife-rich private concession this unforgettable luxurious eco-lodge offers a secluded escape in the heart of the African bush where attention to detail and a passionate team of guides invite guests to fall in love with the wilderness and witness nature’s displays of drama, serenity, and freedom in the heart of Africa. 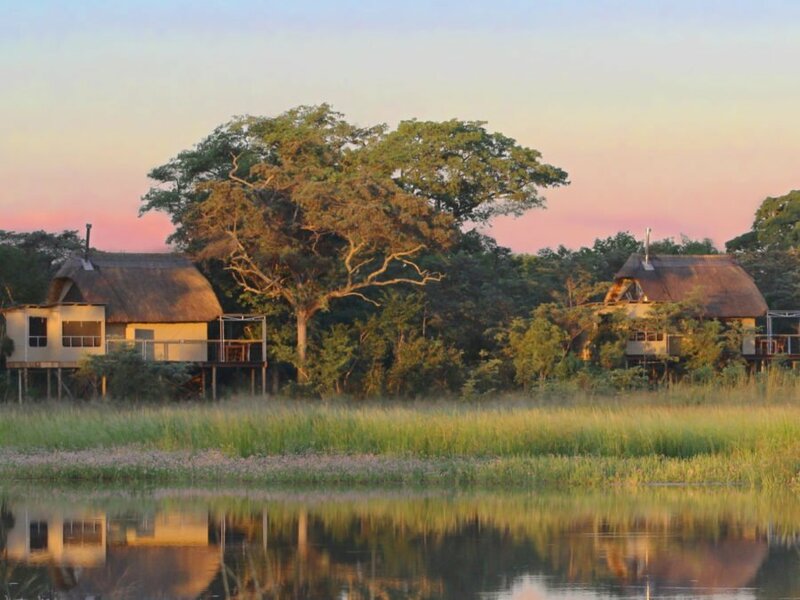 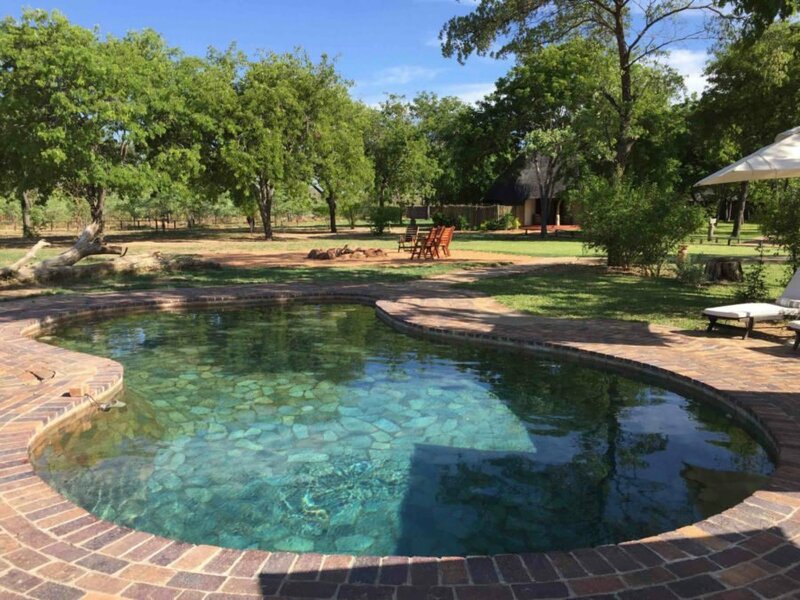 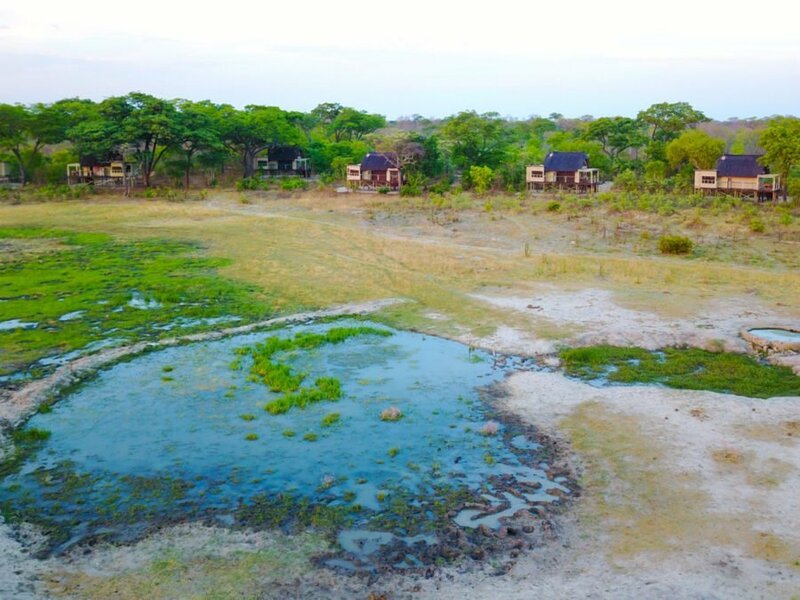 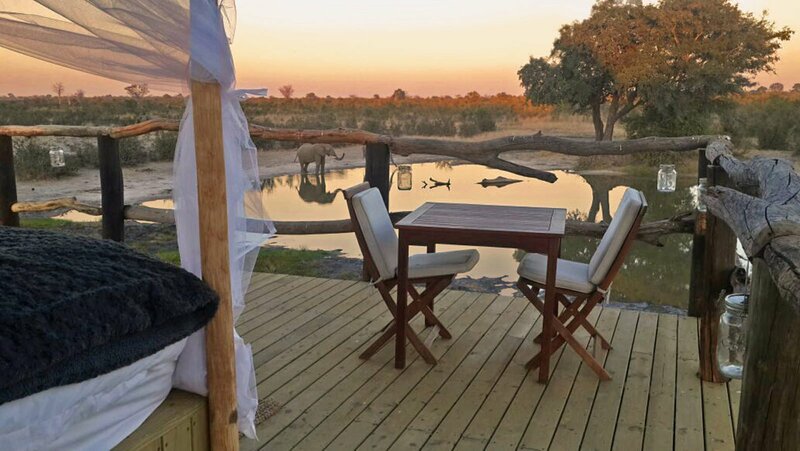 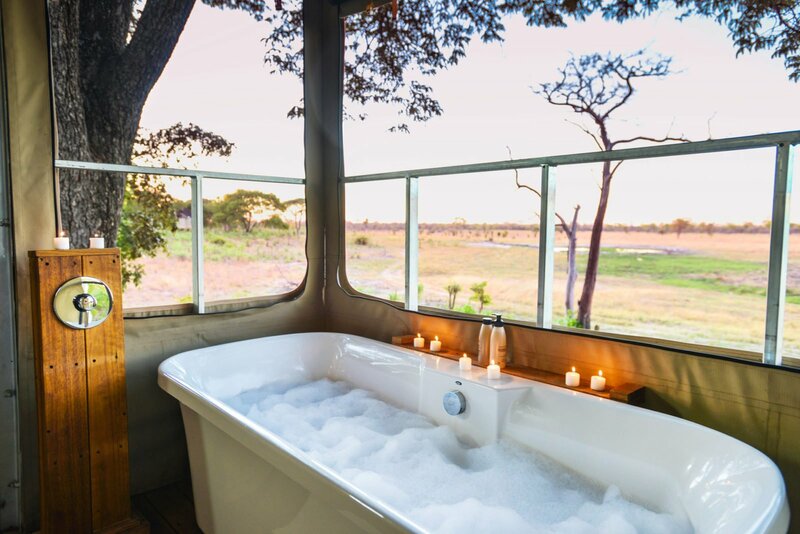 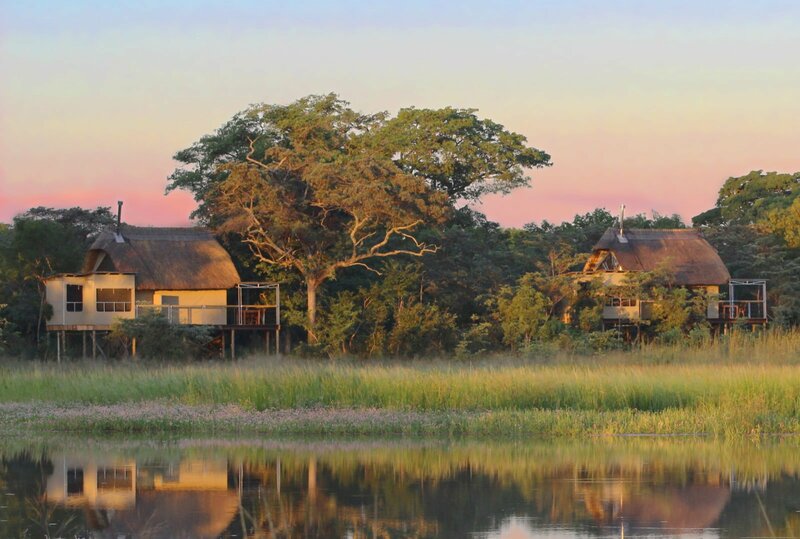 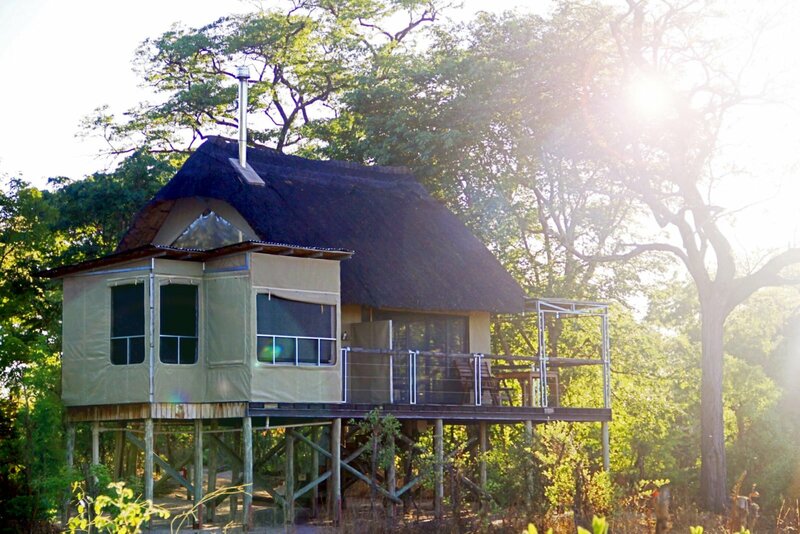 A luxury eco-lodge in a sublime setting bordering Hwange National Park, Elephant’s Eye, Hwange hosts guests in eight comfortable raised tented chalets made with sustainable and reclaimed materials, all with private outdoor showers and views over the waterhole. 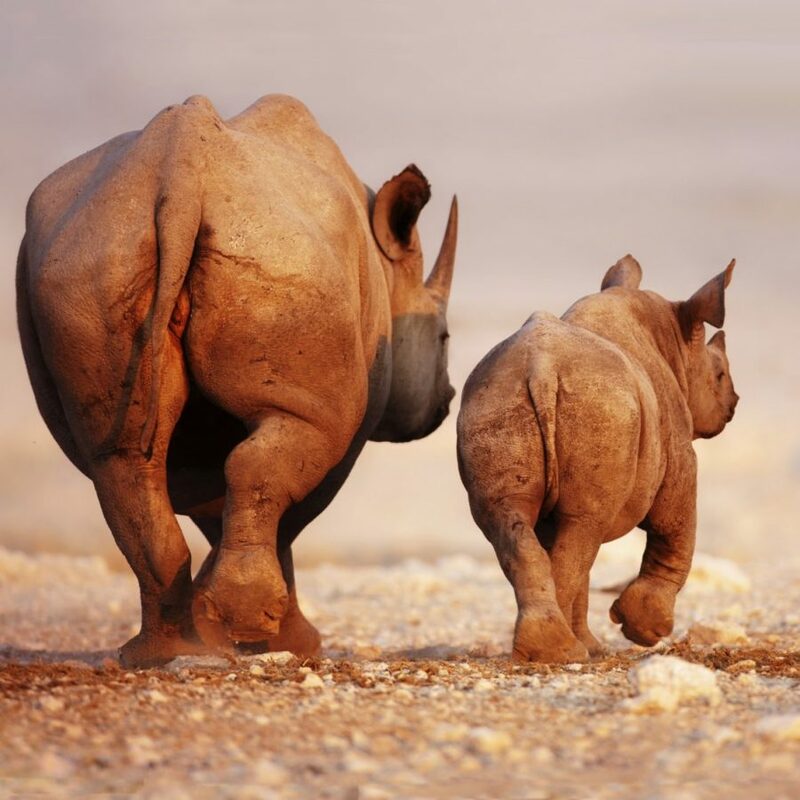 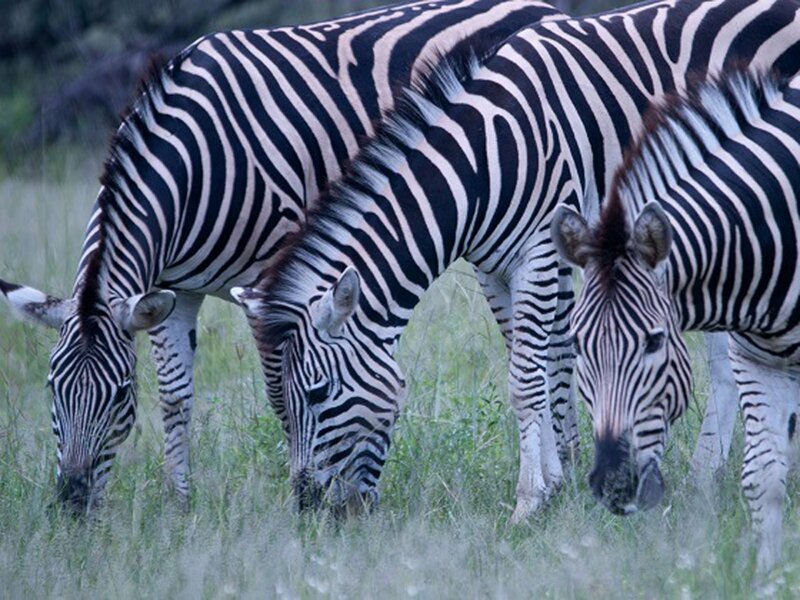 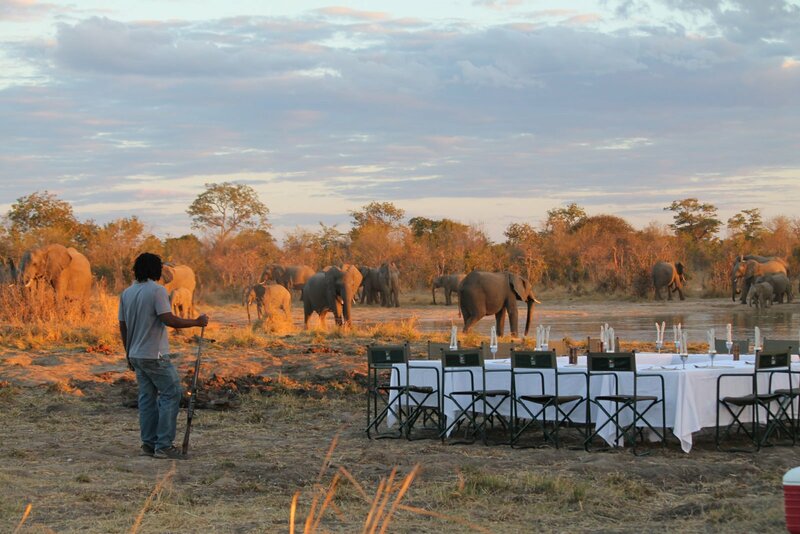 Experienced guides invite you on game drives, guided safari walks, horse-back safaris, and community experiences. 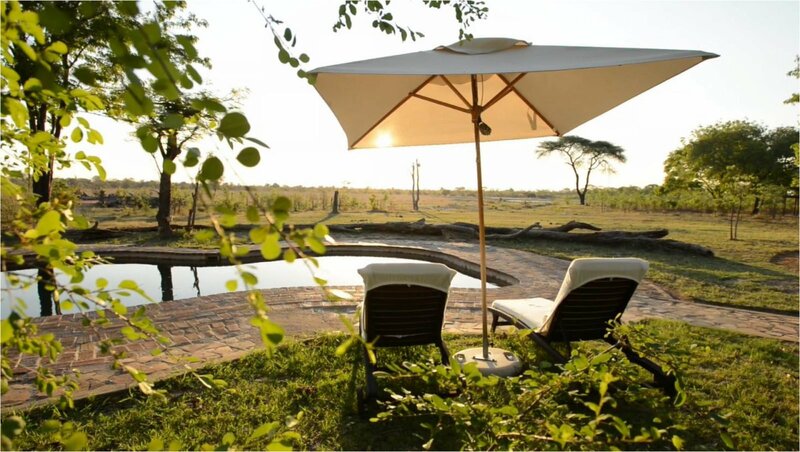 A swimming pool and our eco-spa welcome you to take the time to indulge and relax. 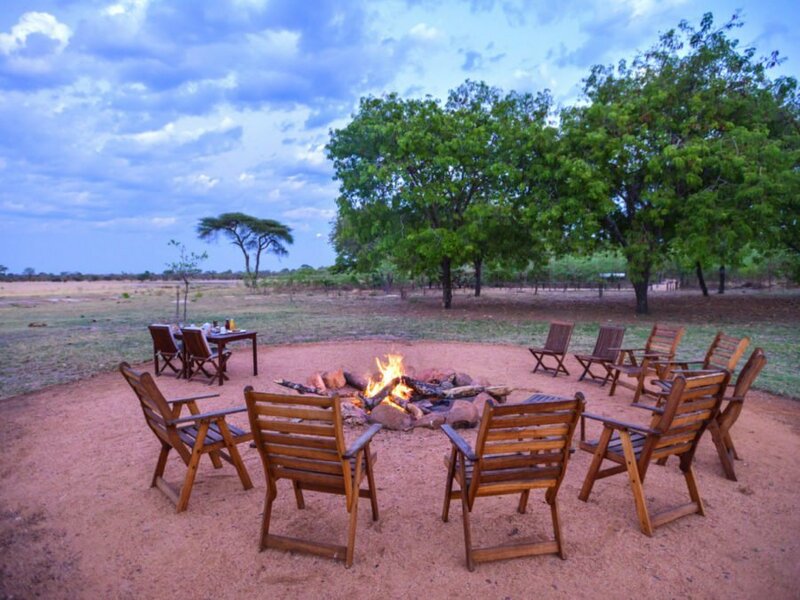 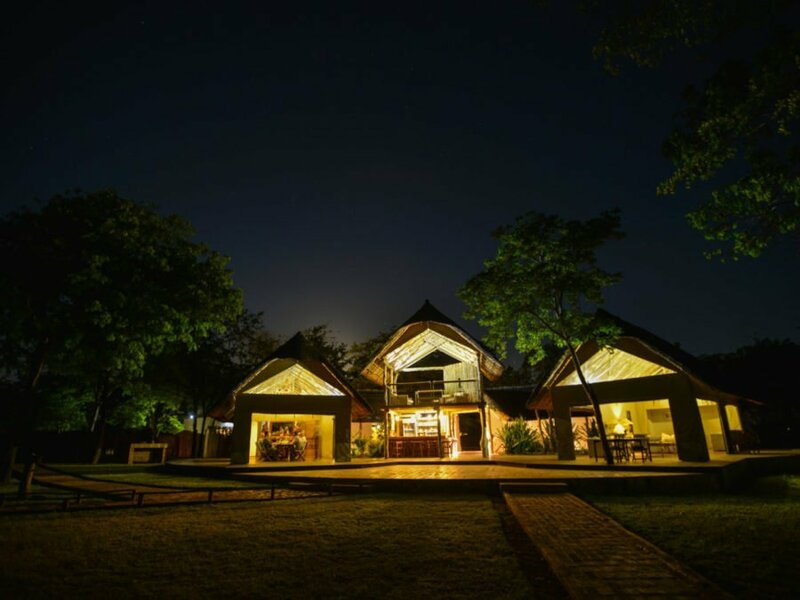 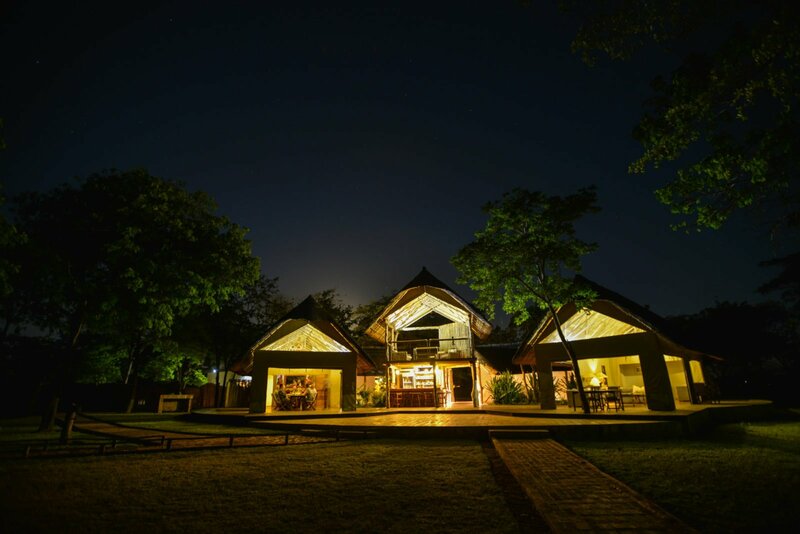 Experience warm African hospitality at a Boma dinner lit by lanterns and a roaring fire, gourmet meals are served at different locations around the lodge to revel in the natural beauty of the African surroundings. 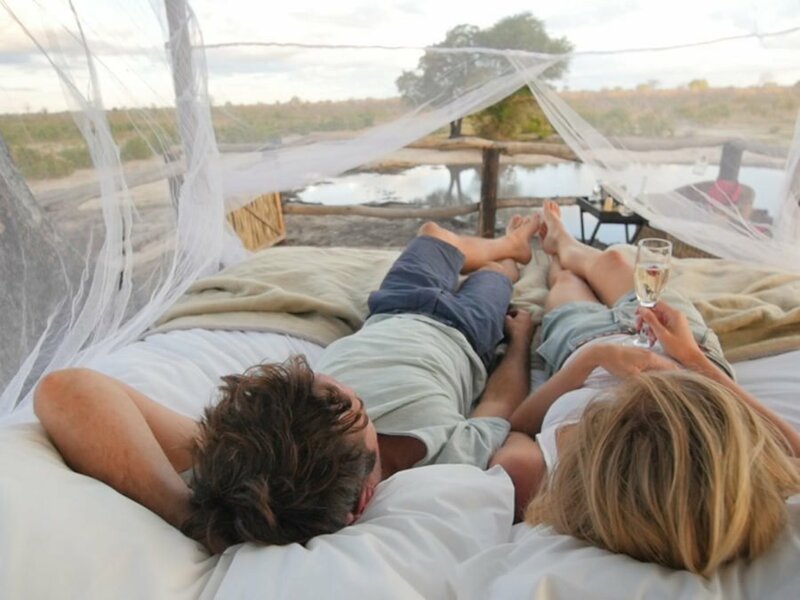 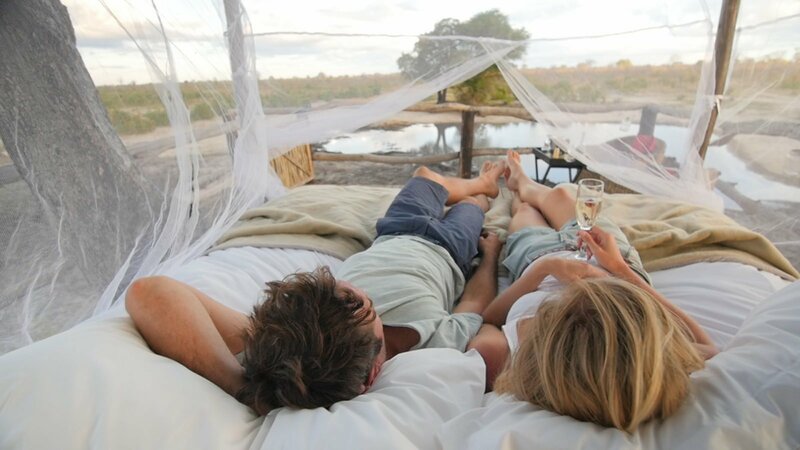 In the evenings enjoy exciting night-time game drives, romantic sundowners at breath-taking viewpoints, or take the opportunity to sleep under the stars at our secluded open-air star bed next to a waterhole. 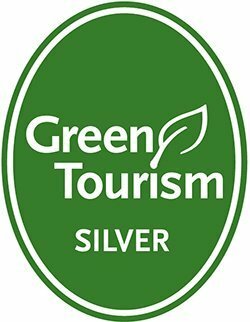 Throughout your stay, you may notice characteristics of our green policy, such as recycling, solar power, and being completely plastic free. 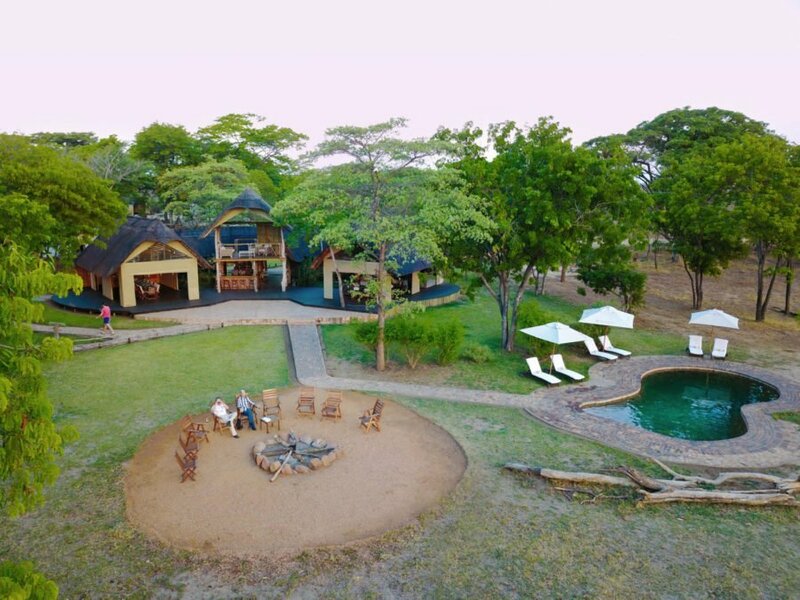 Conservation and community engagement are at the core of our vision and we invite you to let us introduce you to our African culture on our Community Upliftment Experience. 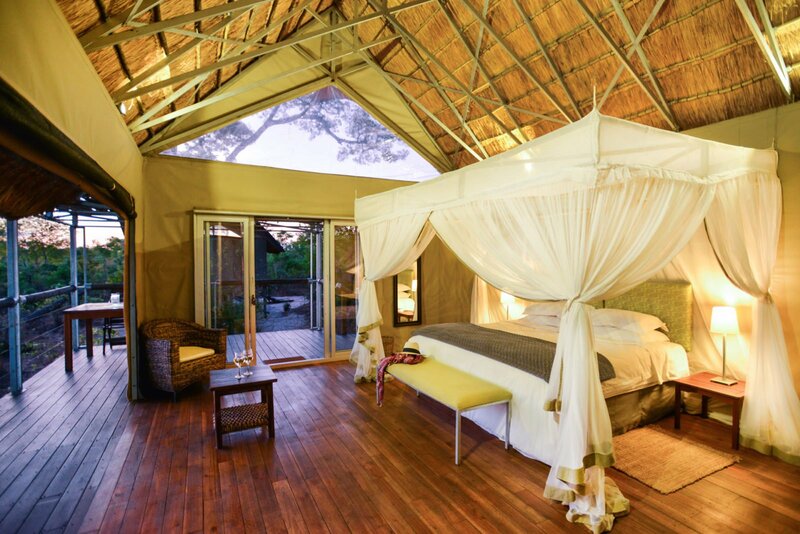 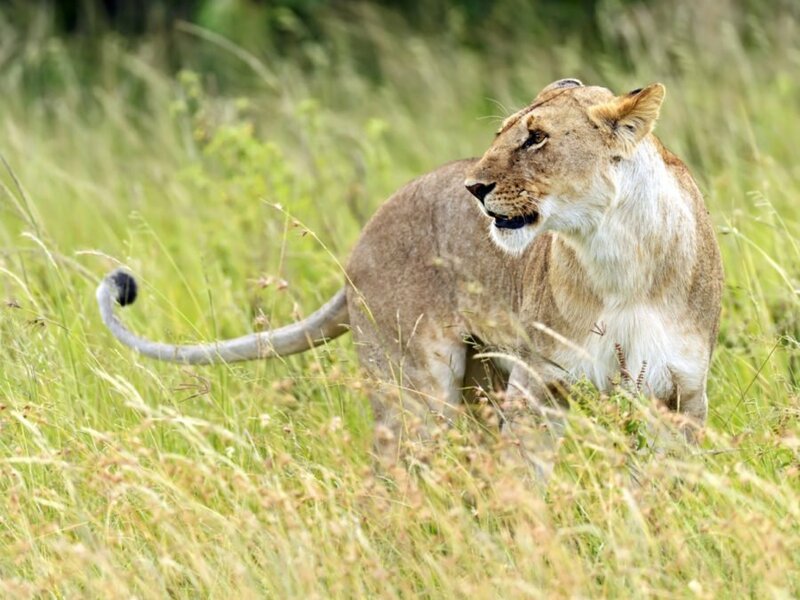 Discover the splendour and excitement of Africa and its wildlife in a beautiful and intimate setting. 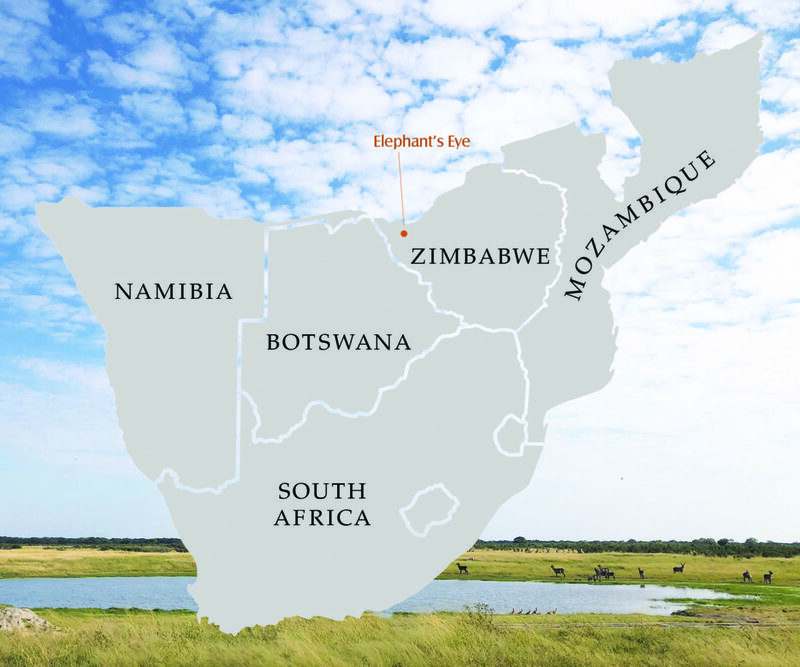 A short 20-minute flight from Victoria Falls or a 2 1/2 -hour transfer brings you to Elephant’s Eye, Hwange located on a private concession that shares a fenceless border with Hwange National Park our lodge is able to combine the thrill of visiting Zimbabwe’s largest national park with the unique added benefits of a private conservancy, such as night-time game drives and guided safari walks. 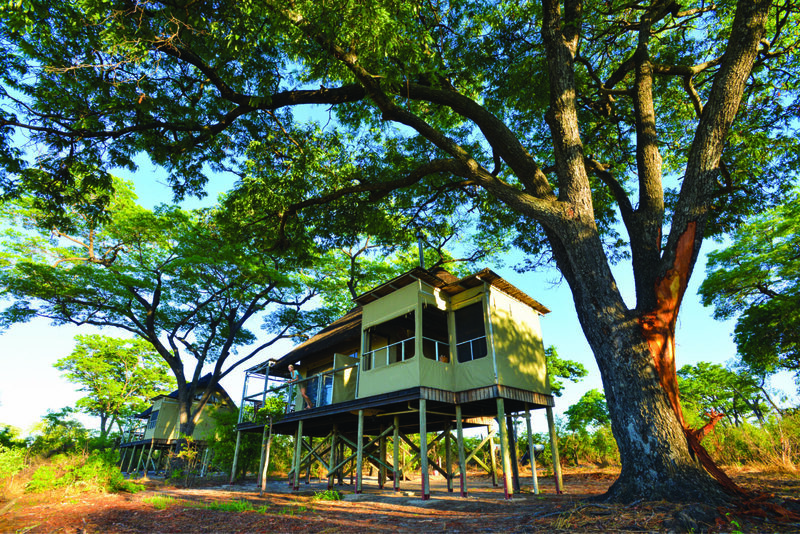 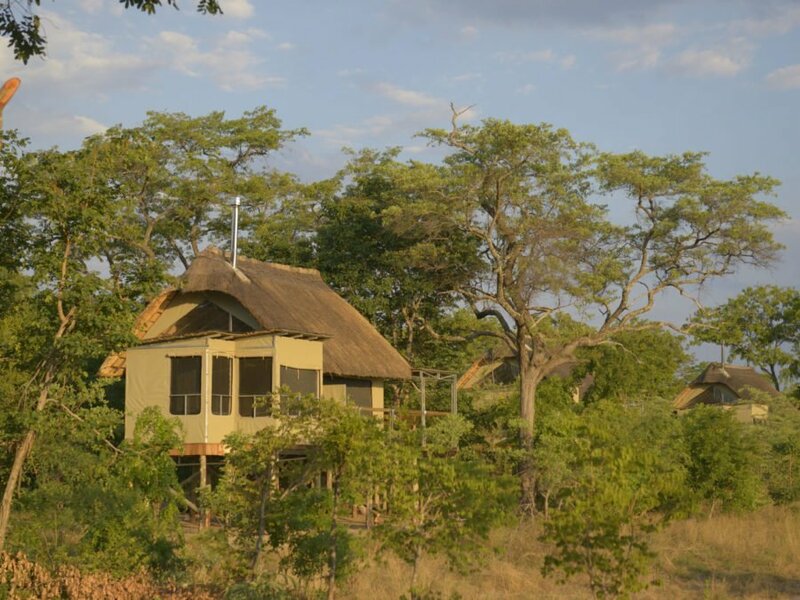 Easy access to the national park is facilitated by the Mtoa Gate entrance right across from our lodge. 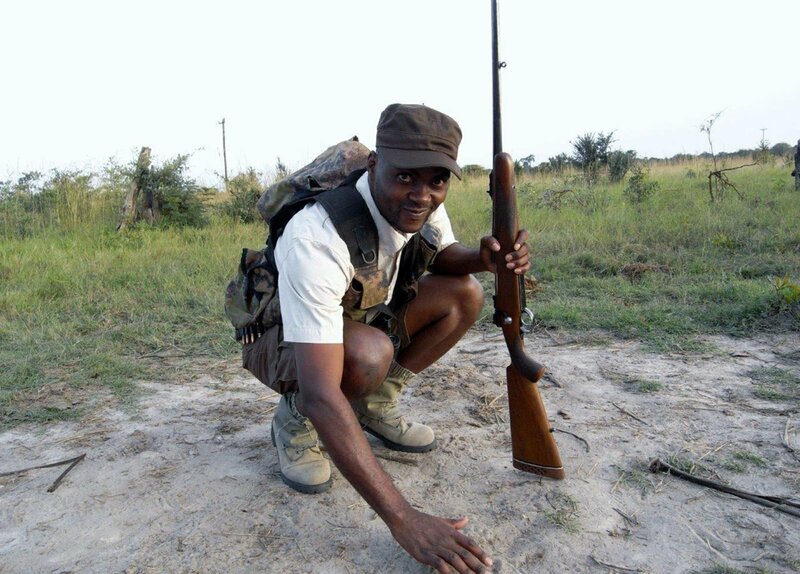 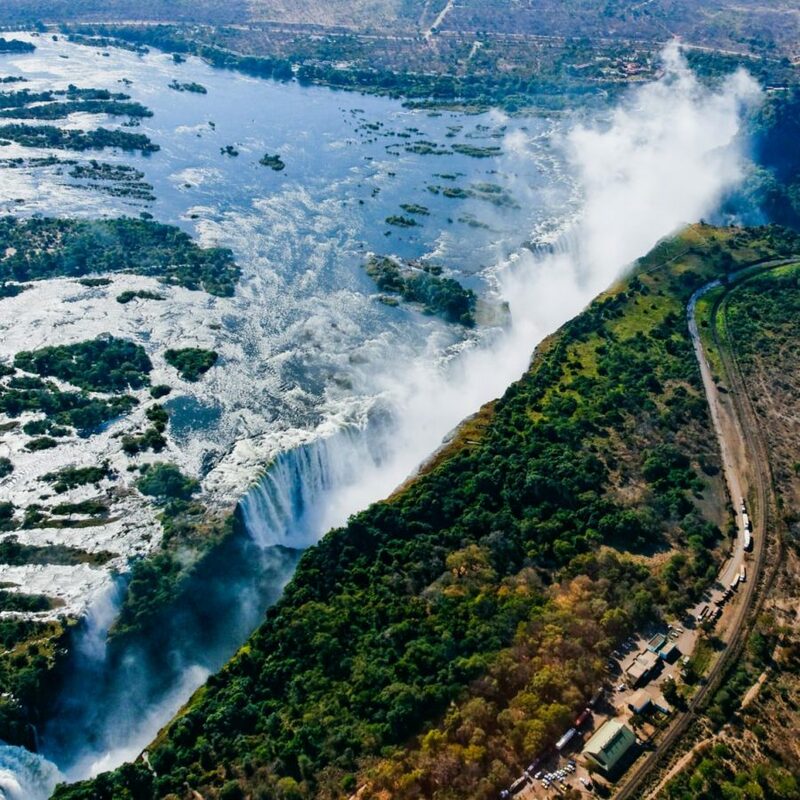 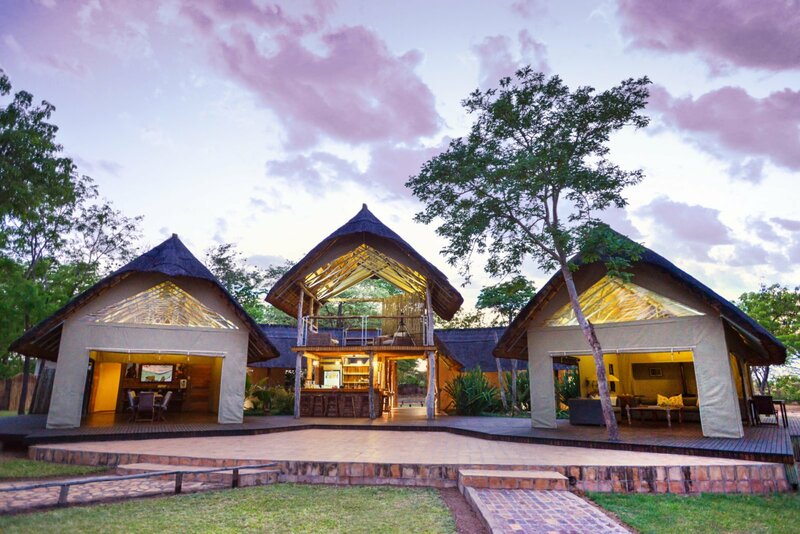 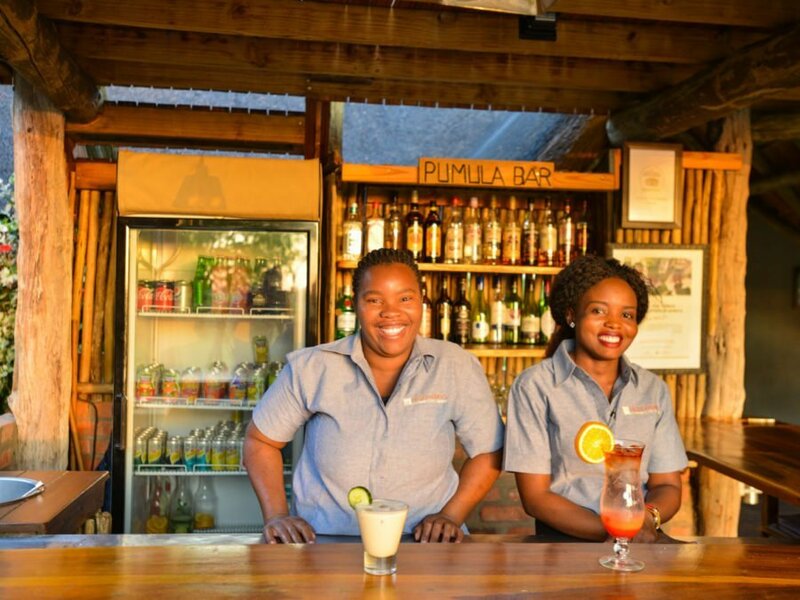 Our kind-hearted and exceptionally friendly lodge staff encapsulate the warm reputation Zimbabwe is so well known for. 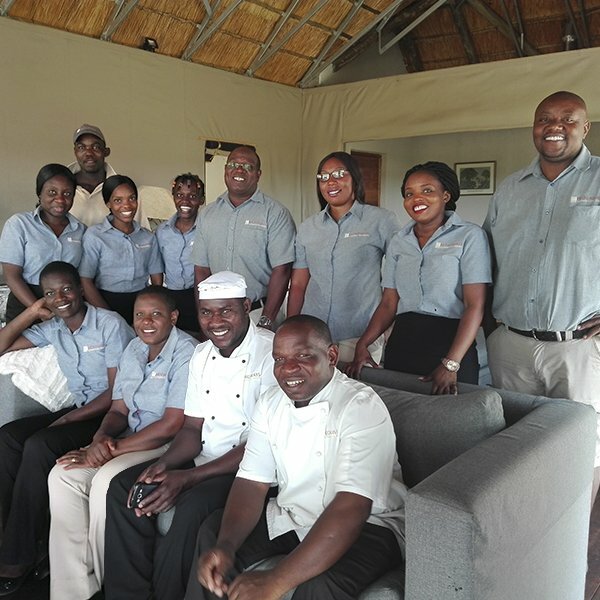 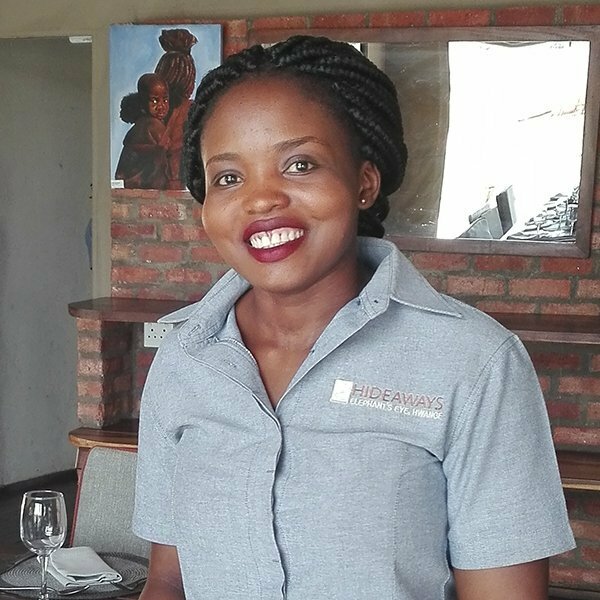 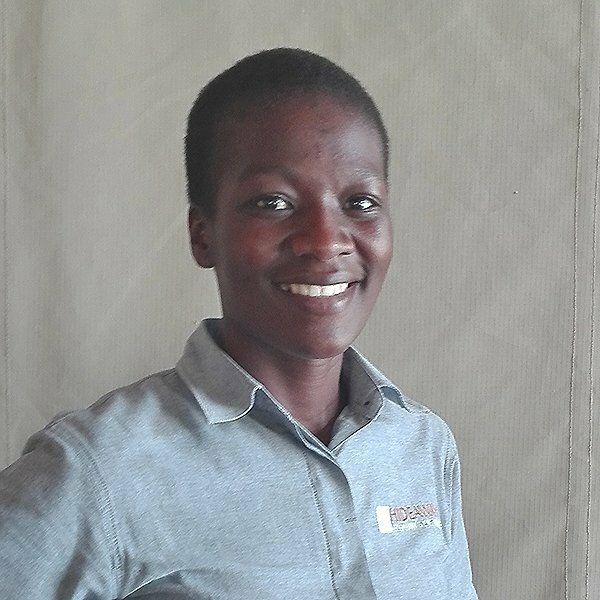 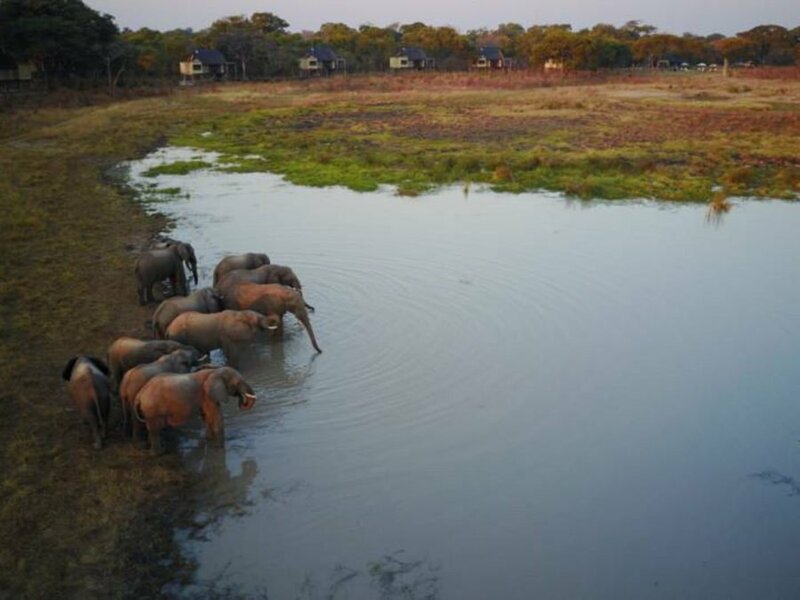 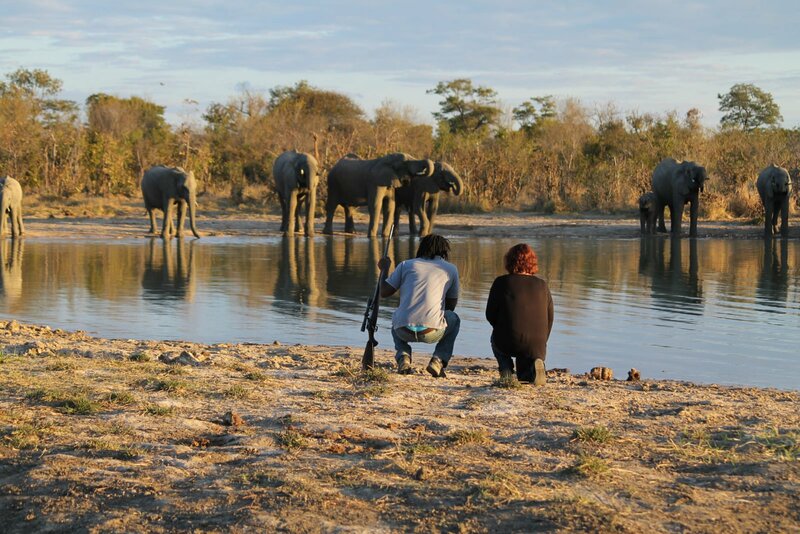 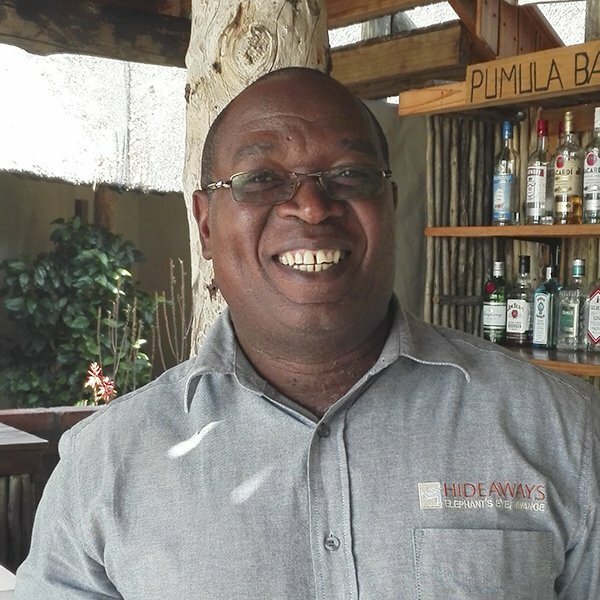 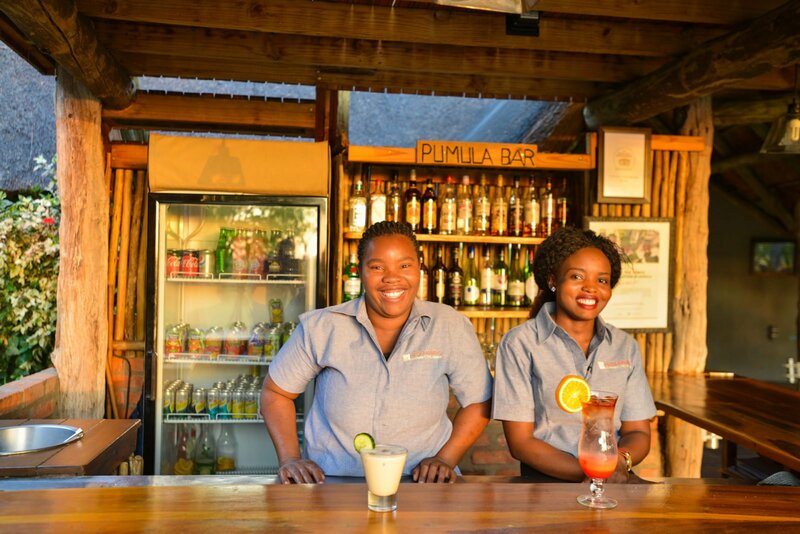 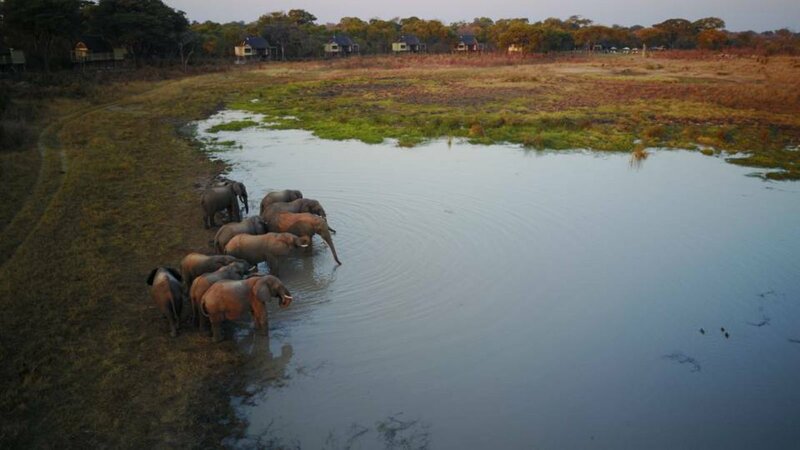 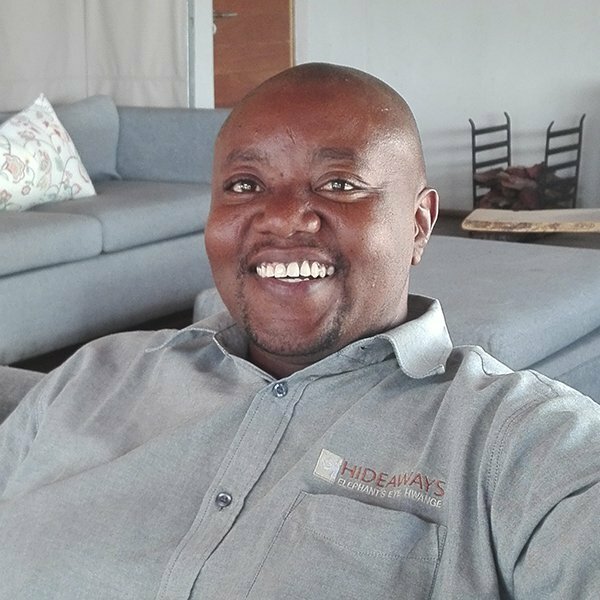 They play a key role in ensuring that your experience at Elephant’s Eye, Hwange is an unforgettable one by attending to your every need and are therefore one of our most valued assets and a great source of pride! 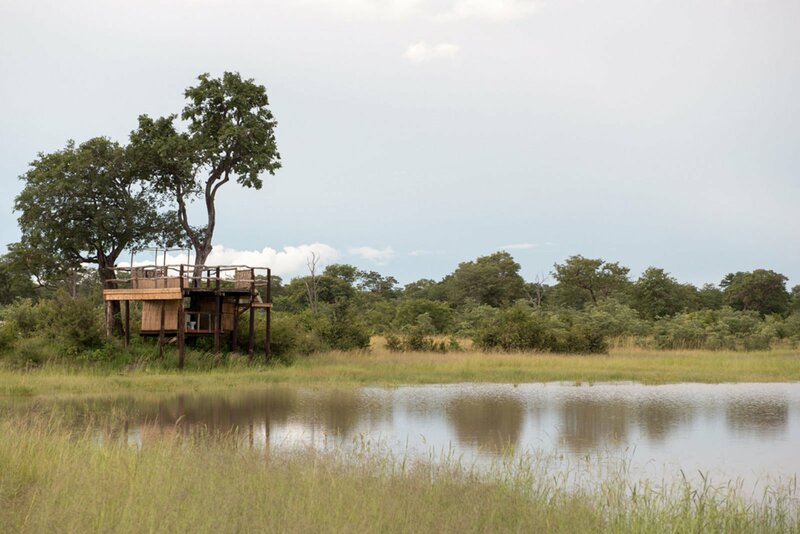 The beauty of our eight private tented chalets is that they have been designed to almost completely blend into their natural environment whilst still offering uninterrupted panoramic views of the watering hole below and the surrounding African bush. 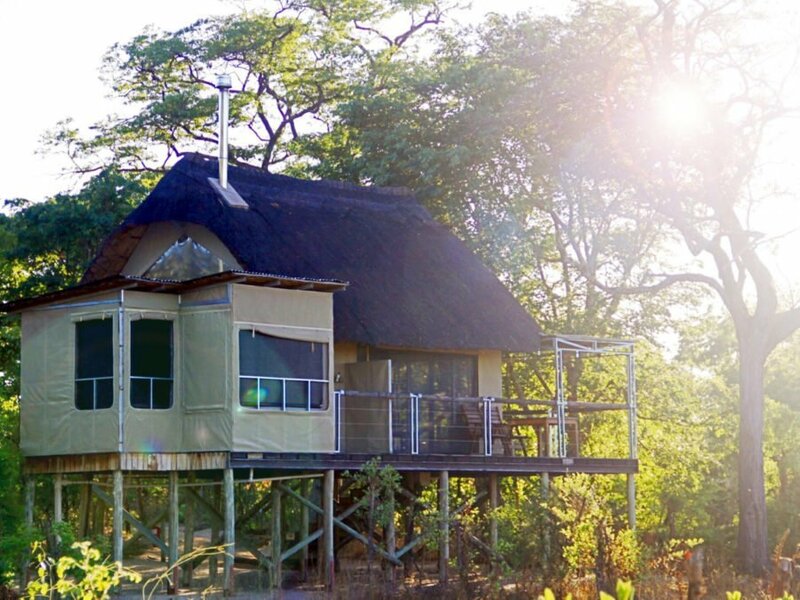 Each chalet, screened by indigenous trees for exclusive privacy, includes a spacious bedroom, fireplace, outdoor shower, wrap-around viewing deck and an en-suite bathroom. 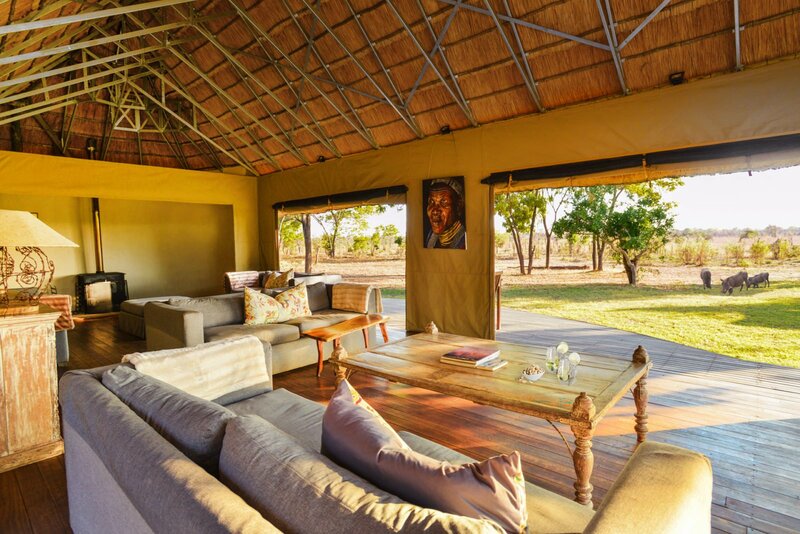 The comfortable interiors are contemporary with an African touch striking the perfect balance between luxury and functionality. 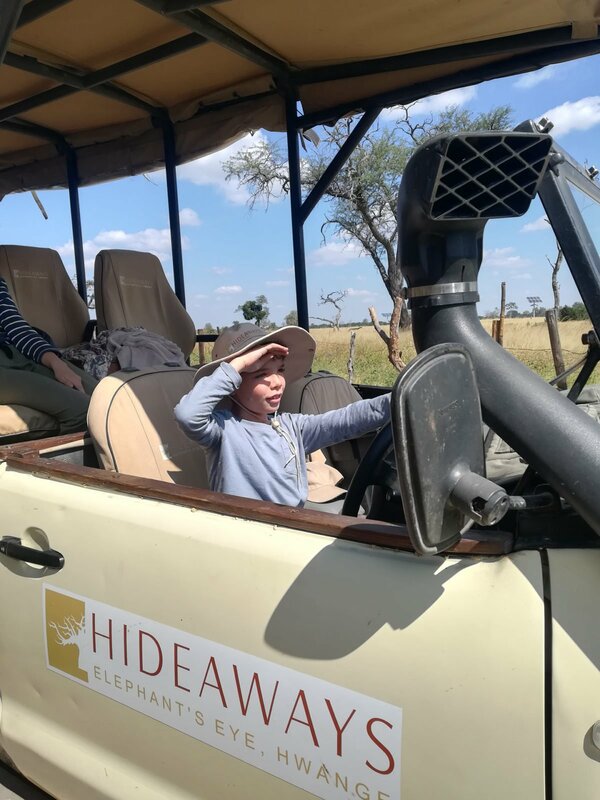 Explore Hwange National Park and our private concession in an open safari vehicle. 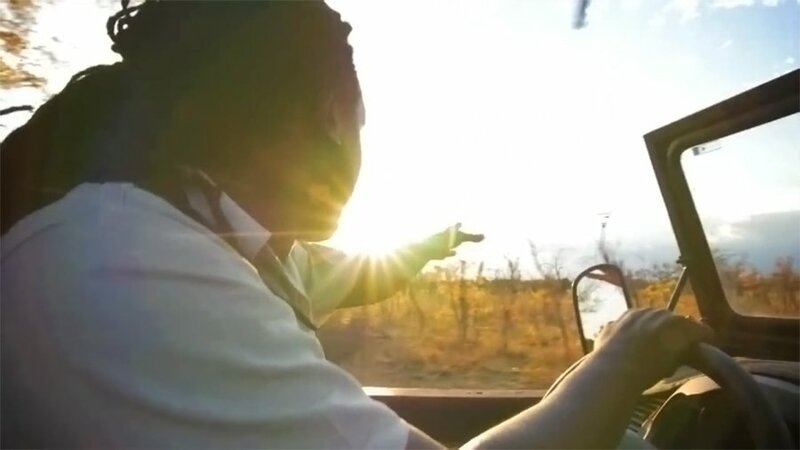 Our expert guides track the game and know exactly where to look, driving on the dusty roads with great skill. 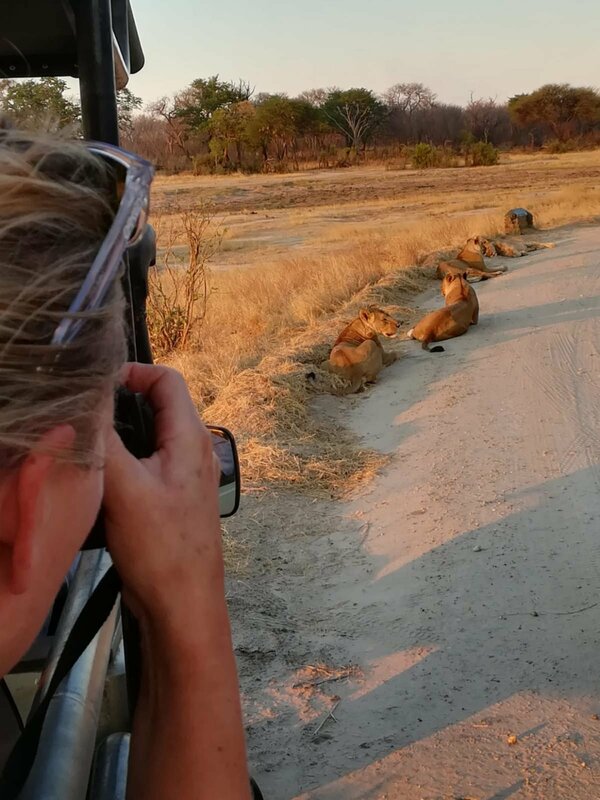 Guests observe the wildlife comfortably from the safety of their vehicle. 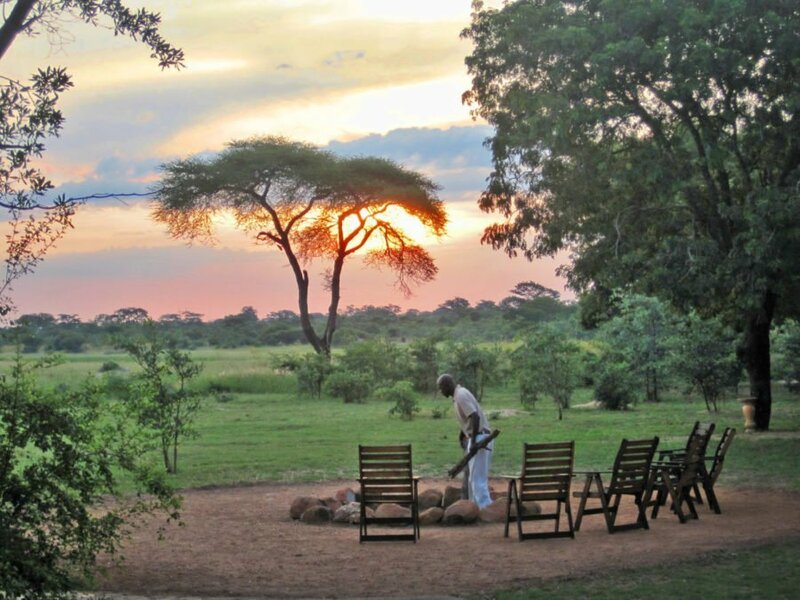 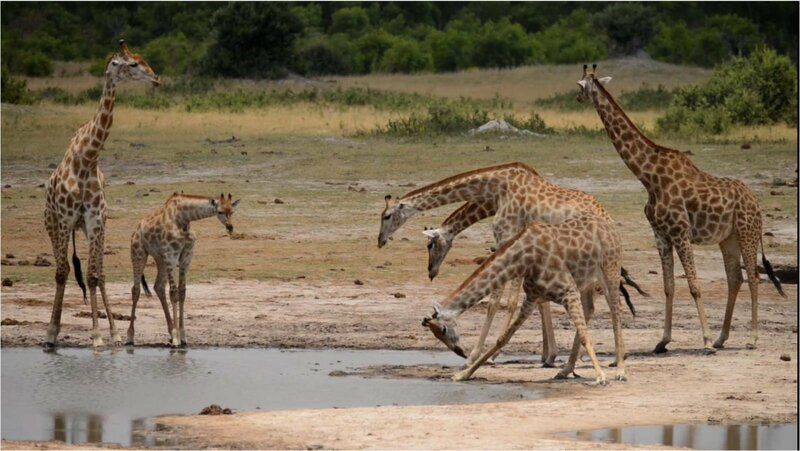 Game drives are either half-day (in the morning or afternoon), full-day, or in the evening for nocturnal game viewing. 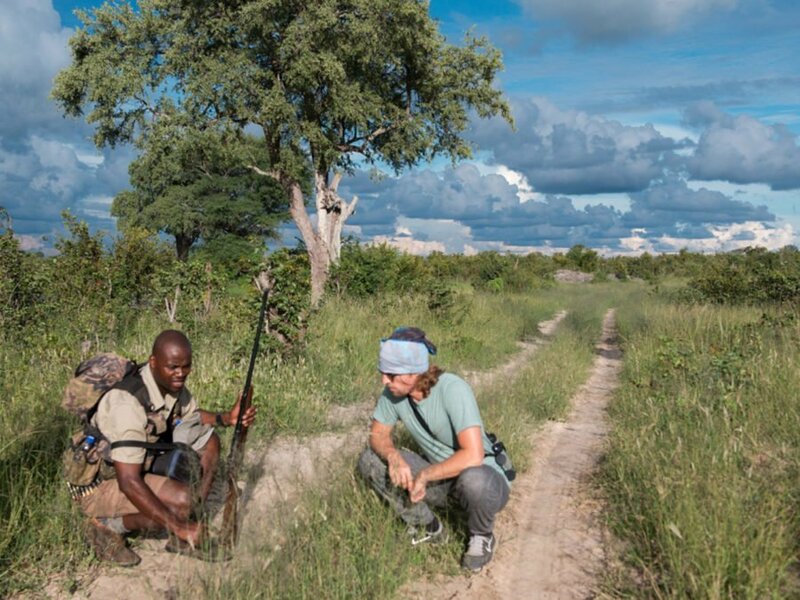 Exploring the bush on foot gives you an entirely unique experience of the wilderness and its animals. 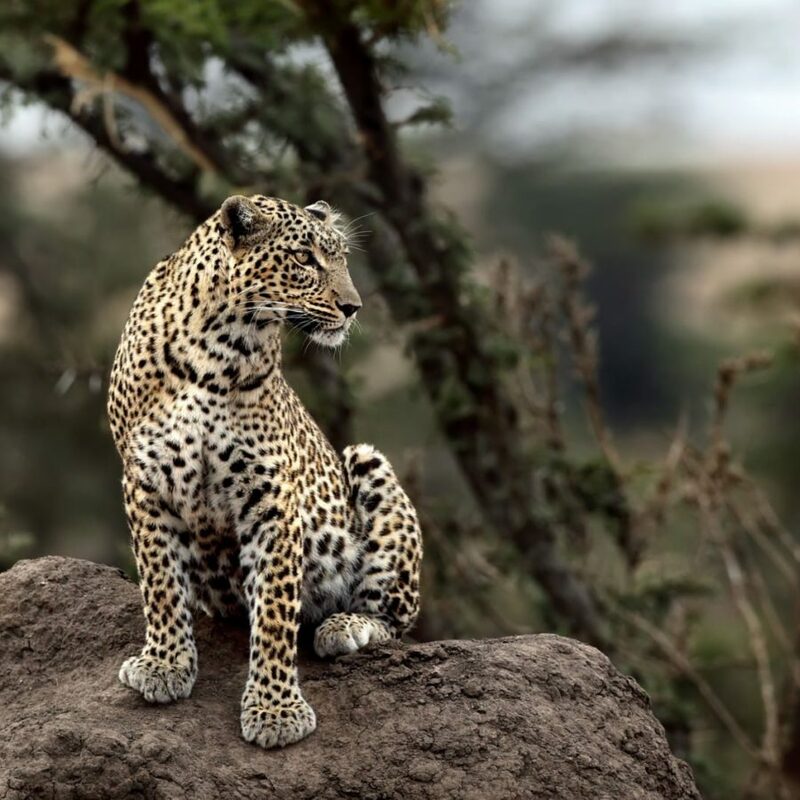 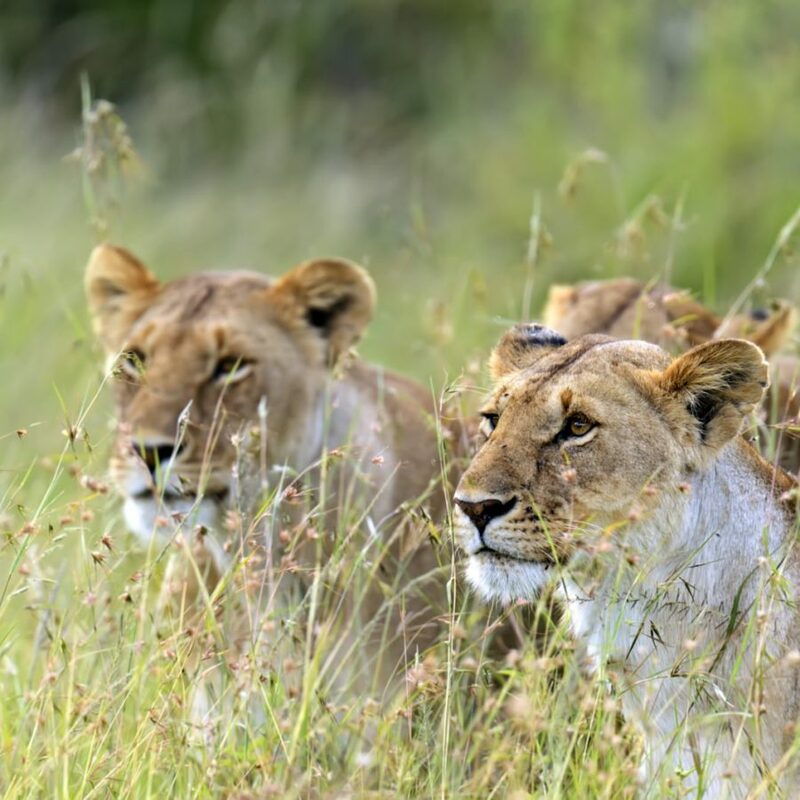 Our expert guides will accompany you as you track wildlife through the pristine African bush, offering you the opportunity to see a vast array of smaller flora and fauna that are often overlooked whilst on a game drive. 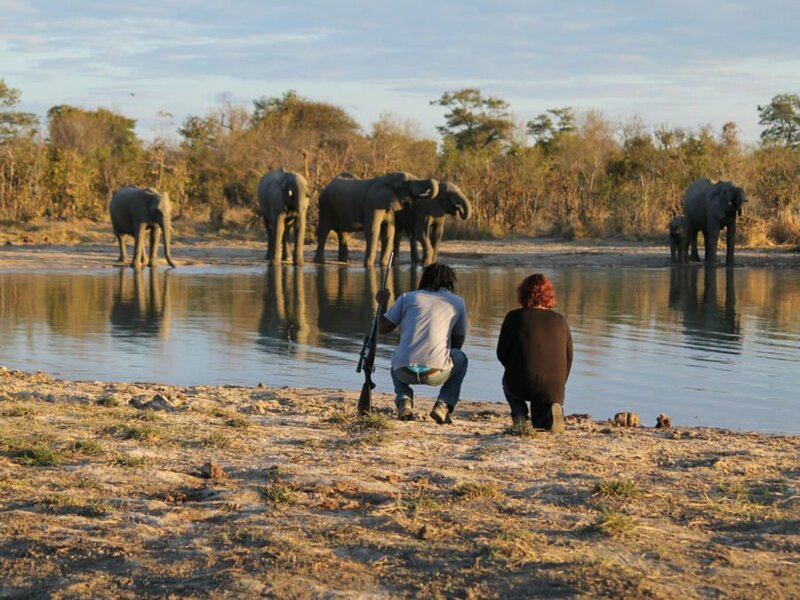 Walking safaris allow you to touch, breathe and truly immerse yourself in the beauty of what nature has to offer as well as getting closer to wildlife becoming part of the African soil. 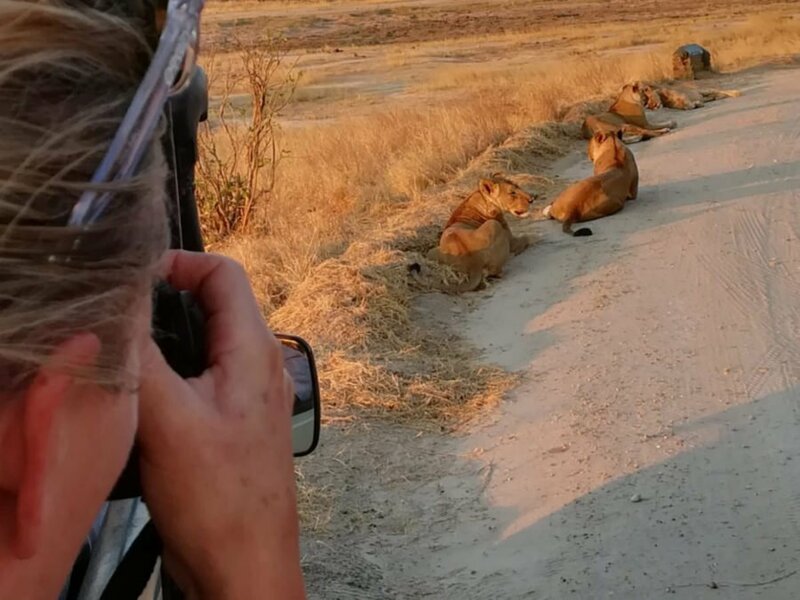 Replace the hum of the safari vehicle with the clip-clop of hooves and occasional soft neighs of your horse. 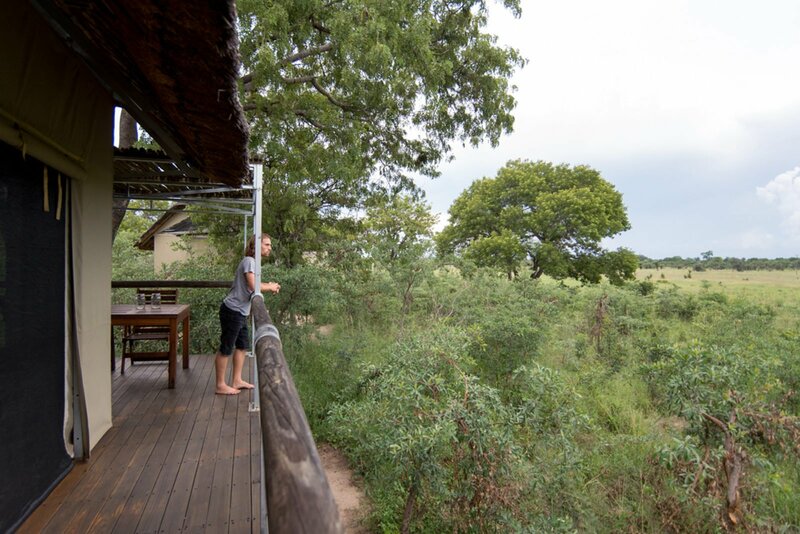 Observe game from a completely different vantage point and feel like you’re part of the action, as the antelope will acknowledge you as one of their own, allowing you to get closer even than on foot. 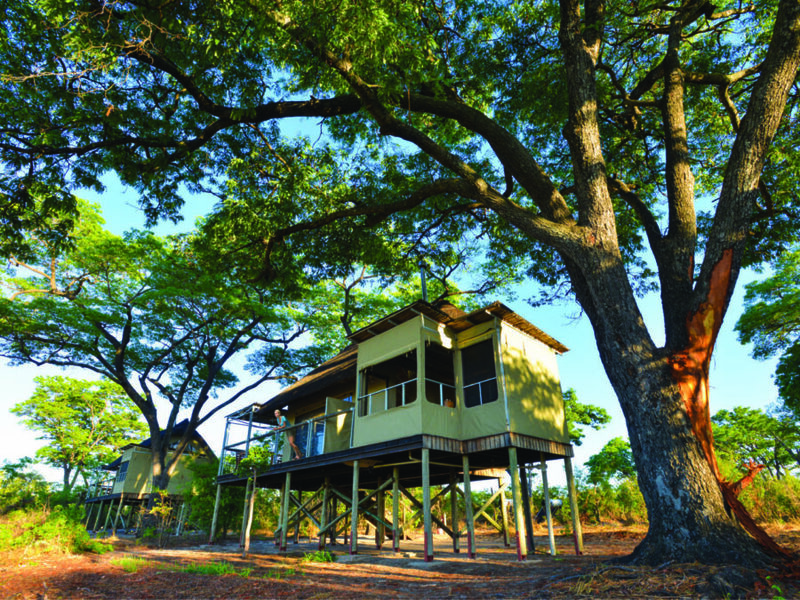 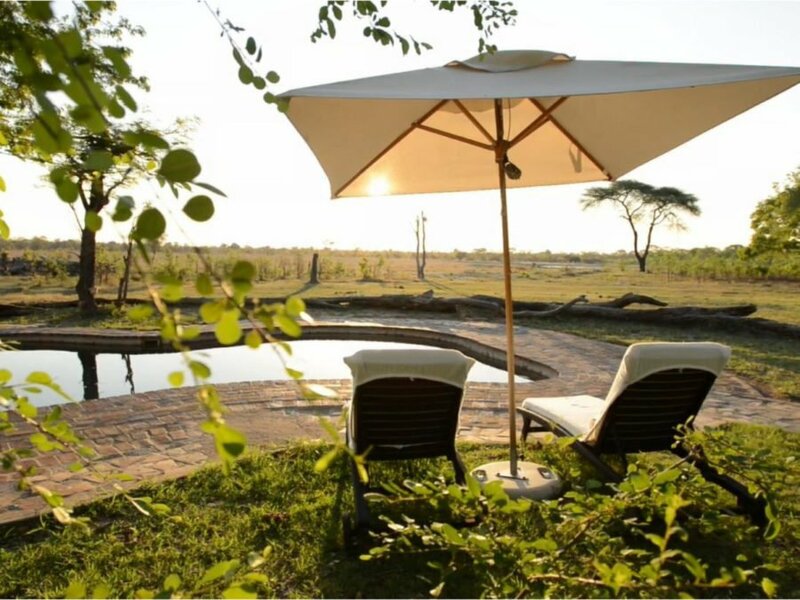 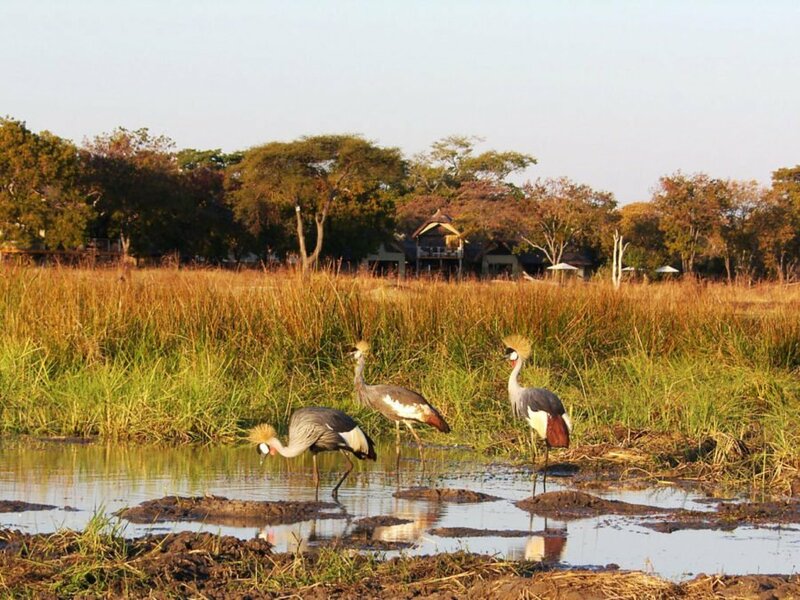 Stop to admire the landscape of grasslands, acacia trees, and waterholes teeming with wildlife. 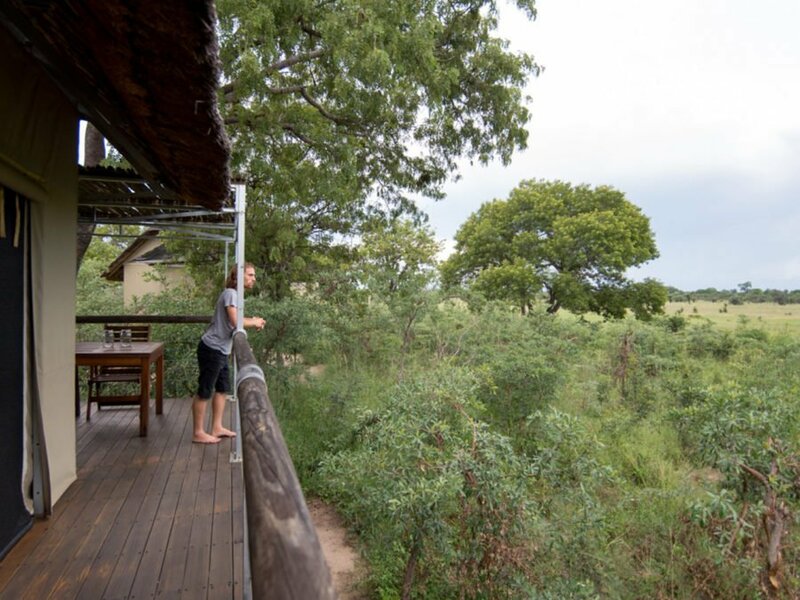 It’s just you, your horse, and the surrounding bush. 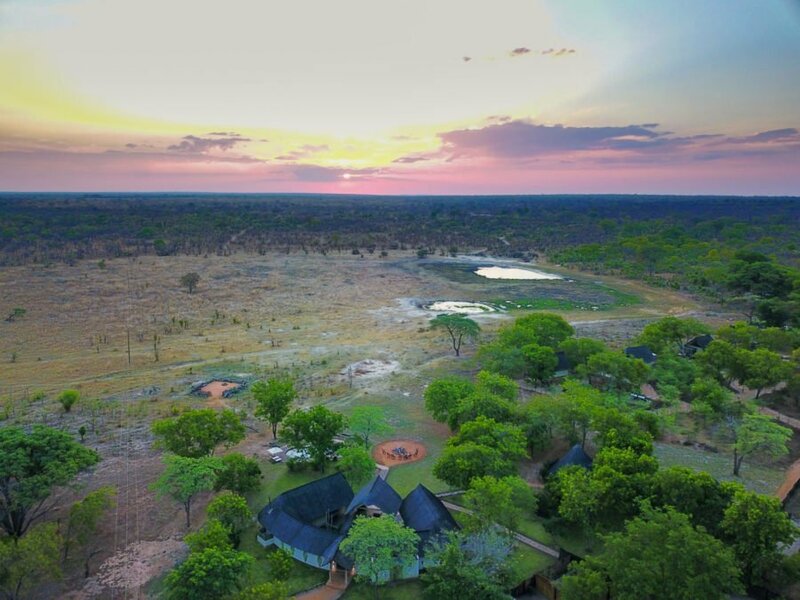 The sunsets in Zimbabwe are warm, golden and beautiful – no two are ever the same – and what better way to enjoy them than by having your own private sundowner at either the lodge’s main watering hole or at one of the neighbouring waterholes situated in the heart of the open bush. 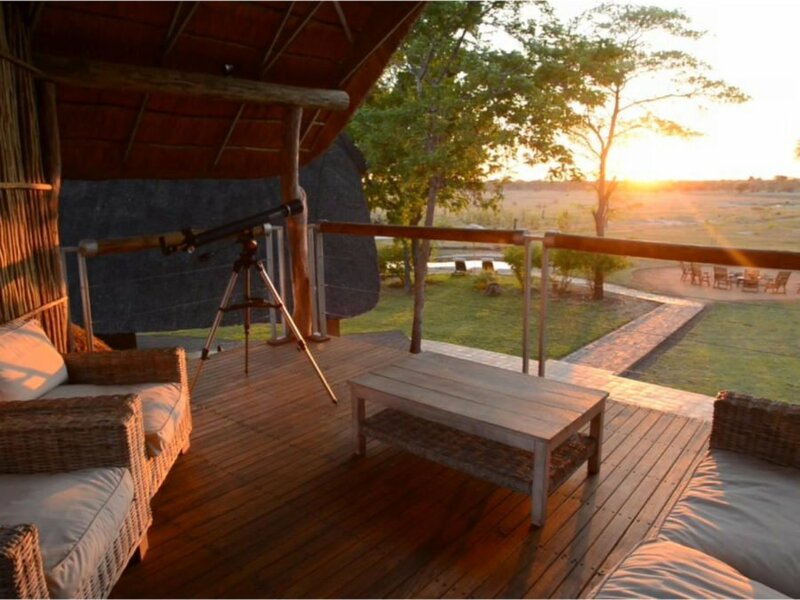 As the light slowly fades, watch a wide variety of game come down to drink all whilst sipping on a refreshing cocktail until eventually, a blanket of stars lights up the sky above. 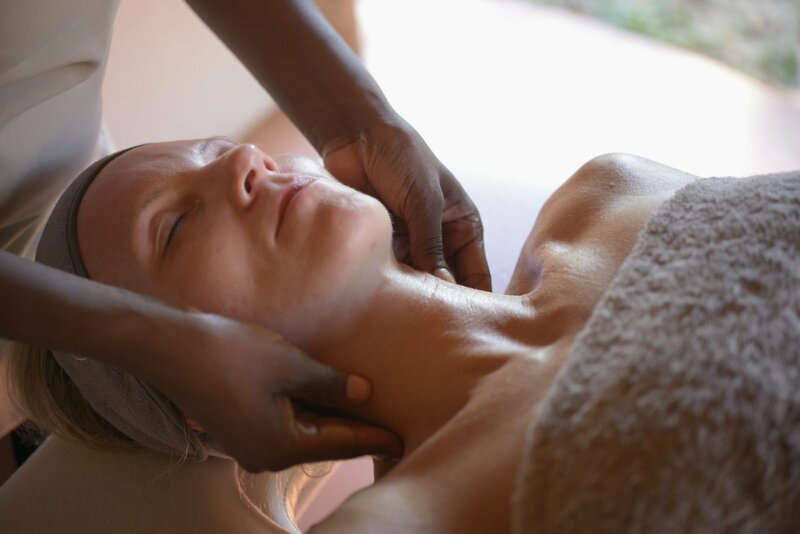 Breathe a sigh of relaxation when embarking on a visit to our on-site spa. 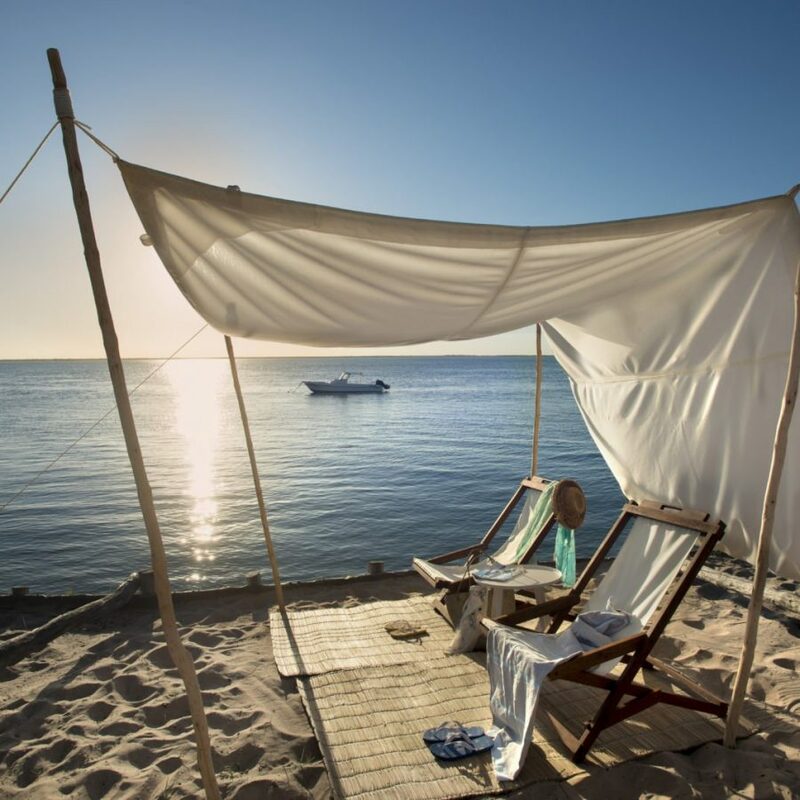 Enjoy a variety of luxurious treatments in the natural tranquillity of Mother Nature. 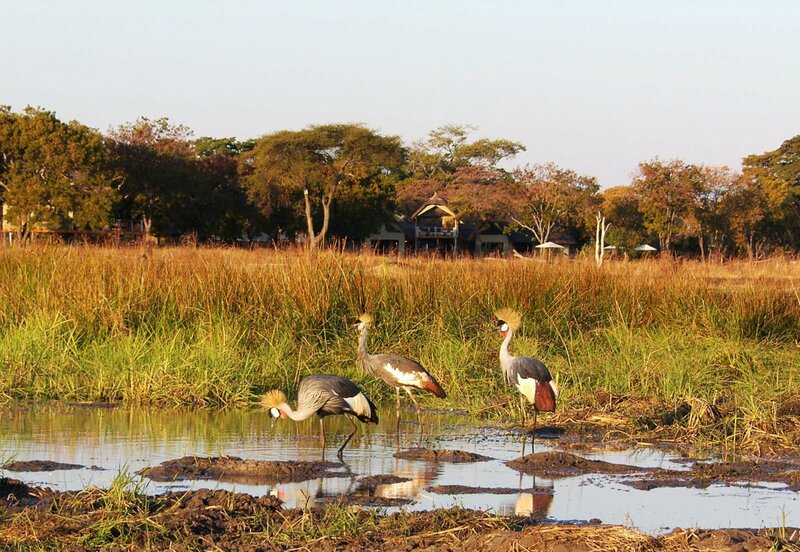 Jwapi means ‘Ground Hornbill’. The spa’s philosophy is about rejuvenating the mind, body, and soul through a unique combination of African and Western massage techniques. 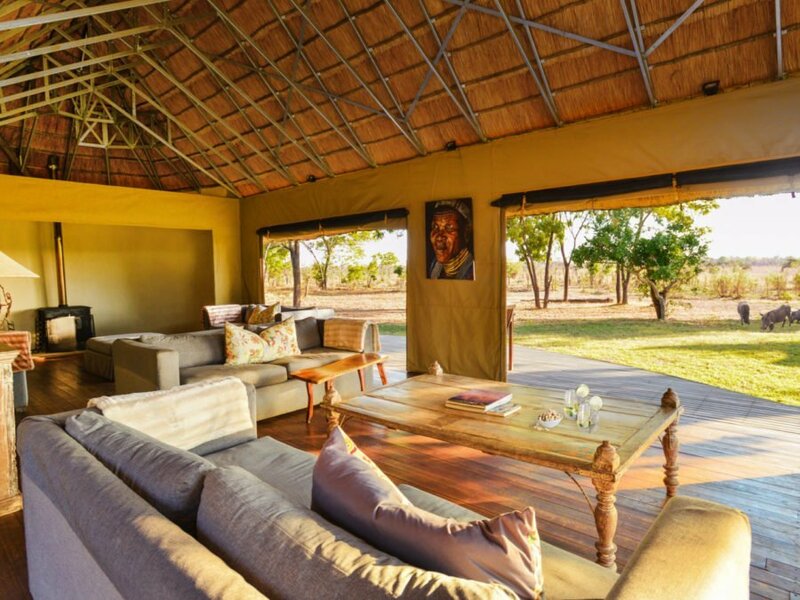 Guests can soothe the tension of city life and leave feeling renewed. 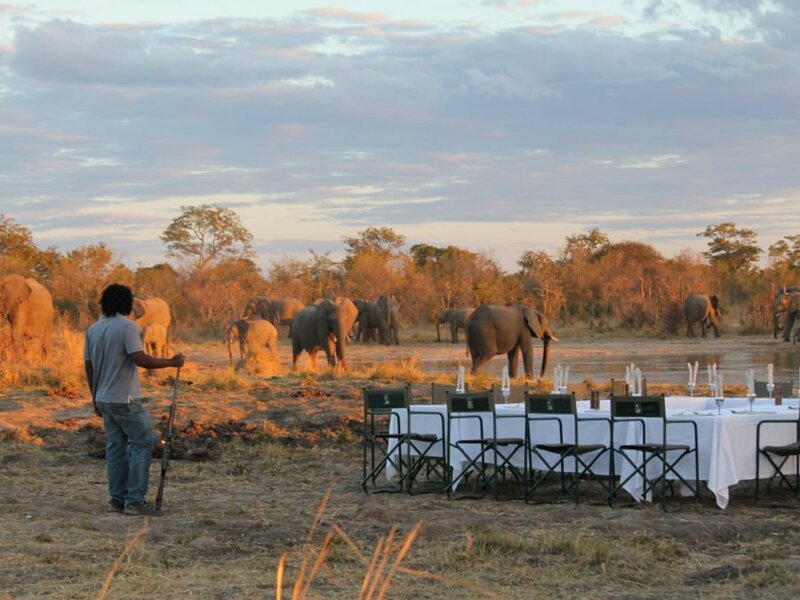 Our bush dinners set out under the stars are one of the main highlights of the Elephant’s Eye experience. 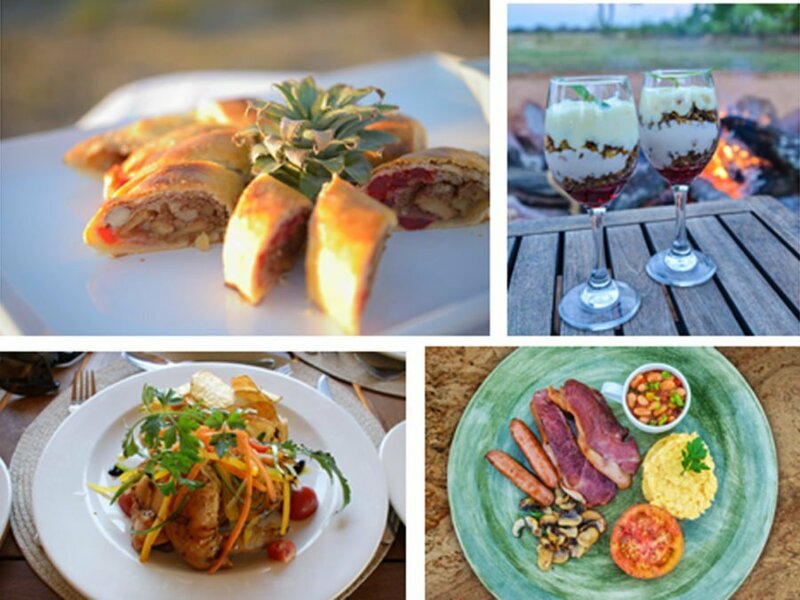 Our focus is on fresh food, combining interesting flavours and textures with a contemporary yet informal approach. 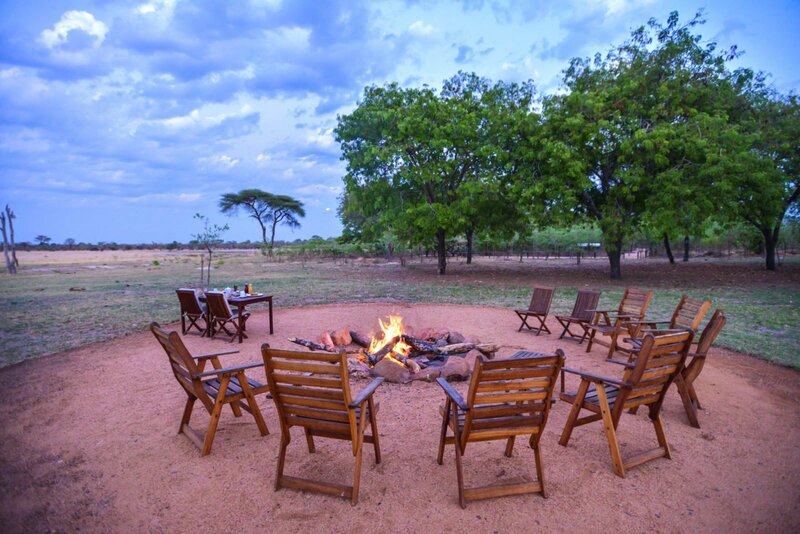 This modernity is further balanced out with open fire cooking, traditional methods that are quintessentially African. 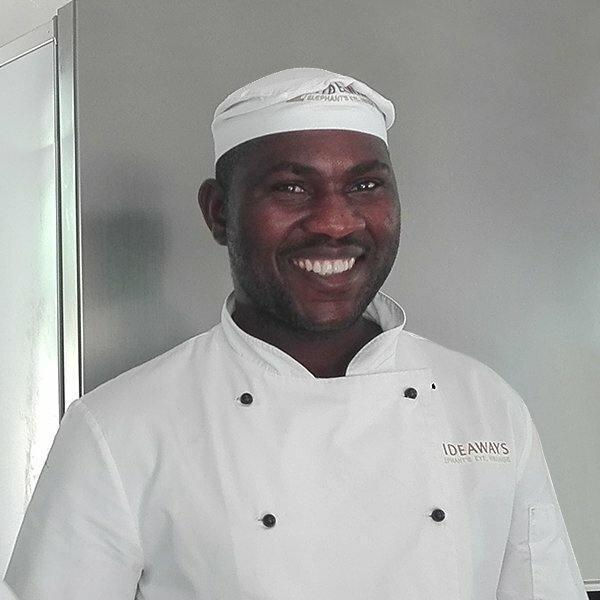 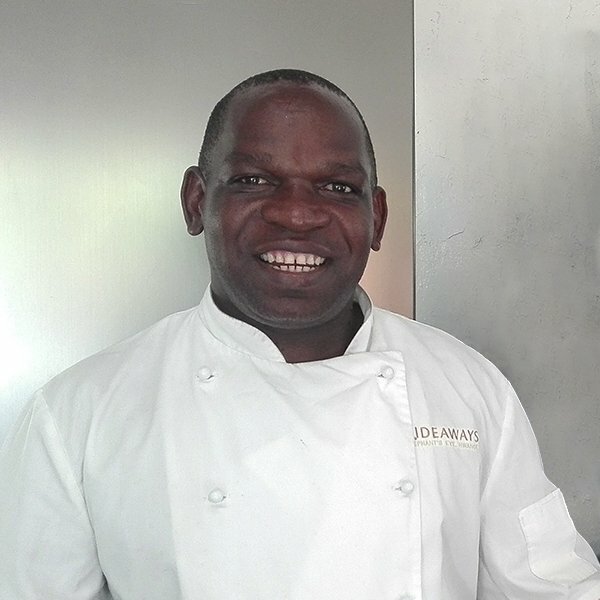 The chef is also more than happy to provide you with plenty of choices for those with special dietary requirements. 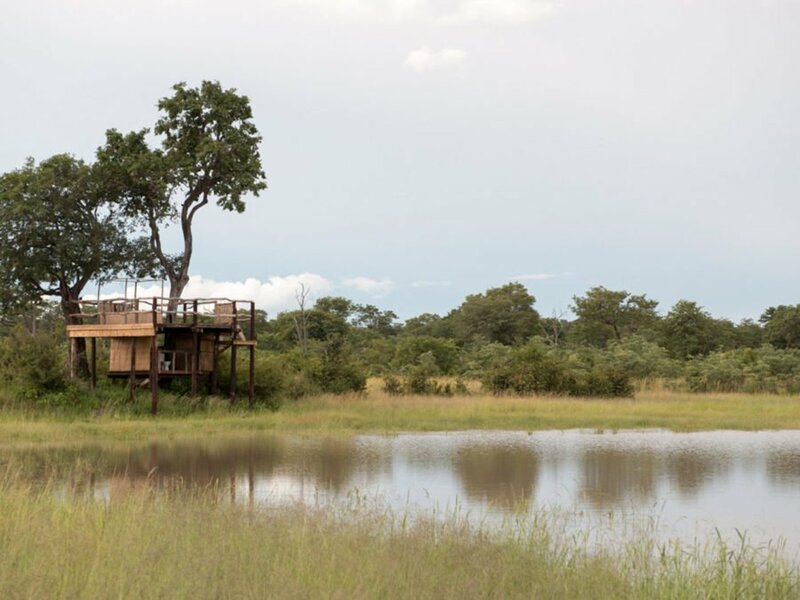 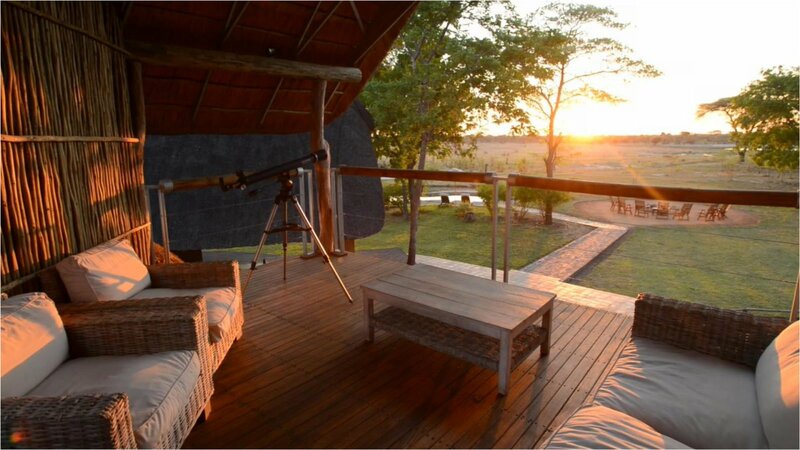 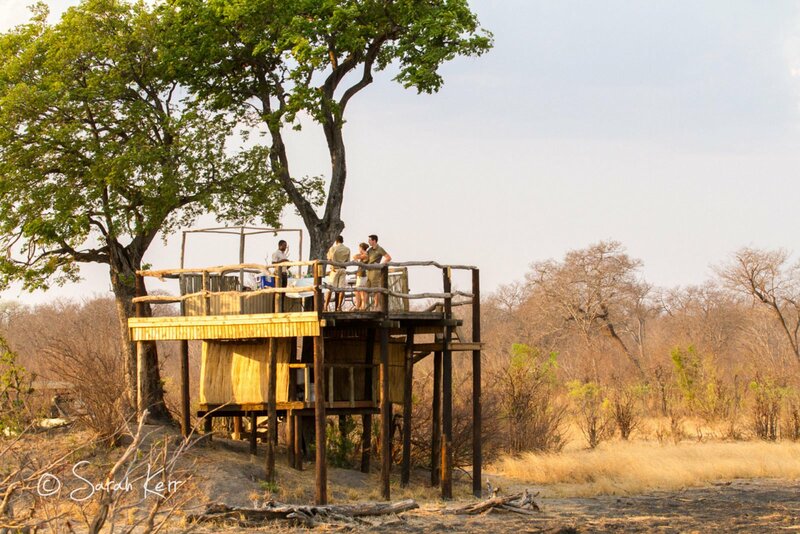 Our sleep-out deck, affectionately called The Eye, allows guests the rare opportunity to fall asleep under a starlit sky to the enchanting sounds of the African bush in exclusive privacy. 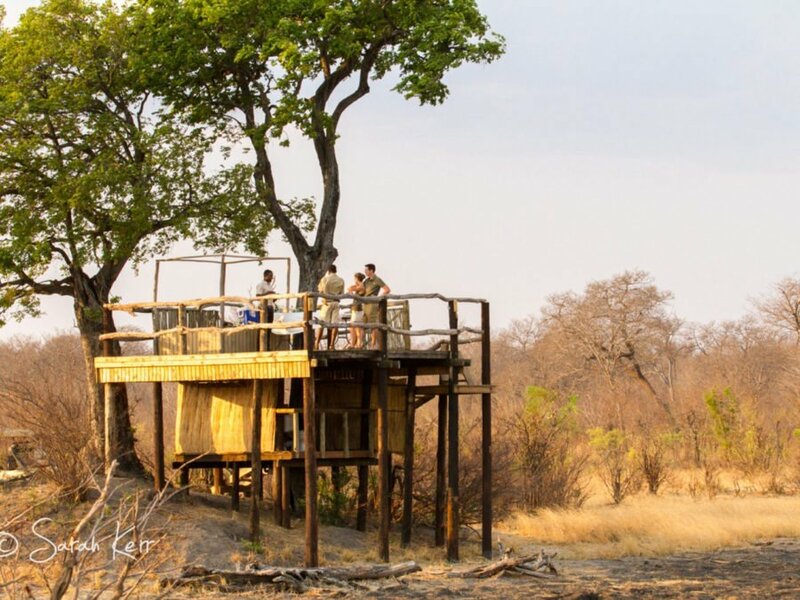 Guests are escorted at sunset to the deck for sundowners, before being left to enjoy the tranquillity of the surrounding bushveld as the day turns to night. 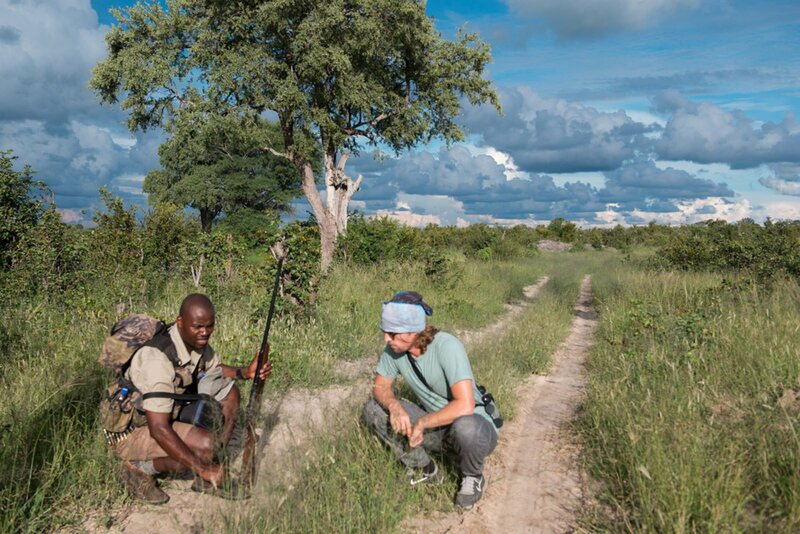 But don’t worry, a guide is never too far away. 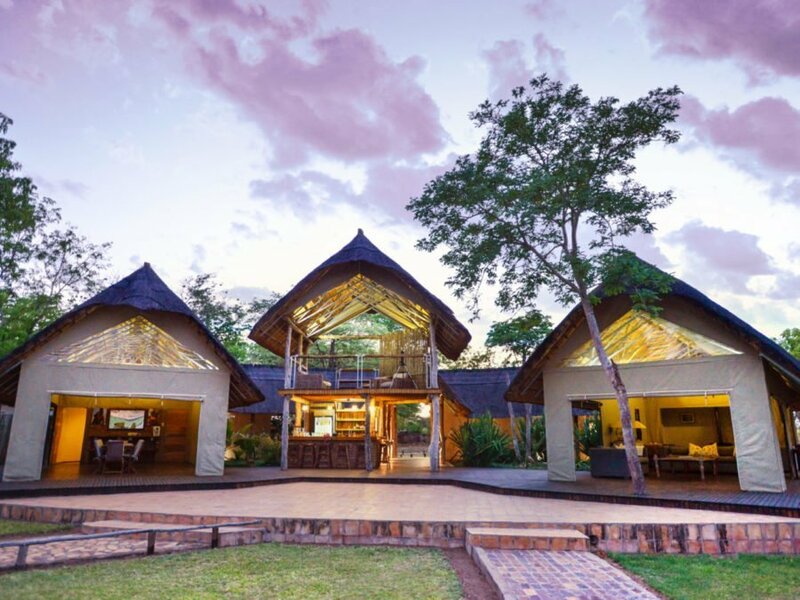 Guests are given a chance to interact with and learn more about the customs and culture of local Dete residents through three different engaging and non-intrusive but enlightening experiences and projects. 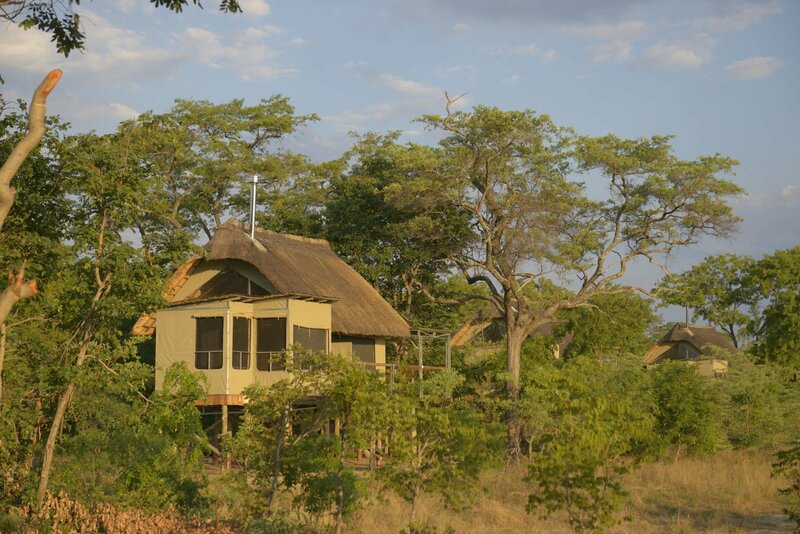 Dingani Primary is the local primary school close to our lodge. 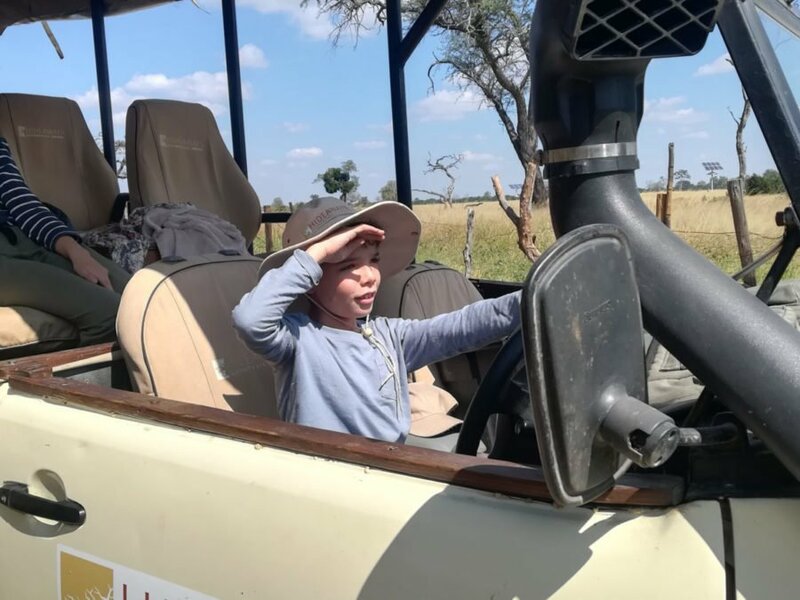 As a rural African school, it might be quite different to what you are familiar with back home and the visit to the school is an enlightening opportunity to see the inspiring hope, dedication, and resourcefulness of the staff and students. 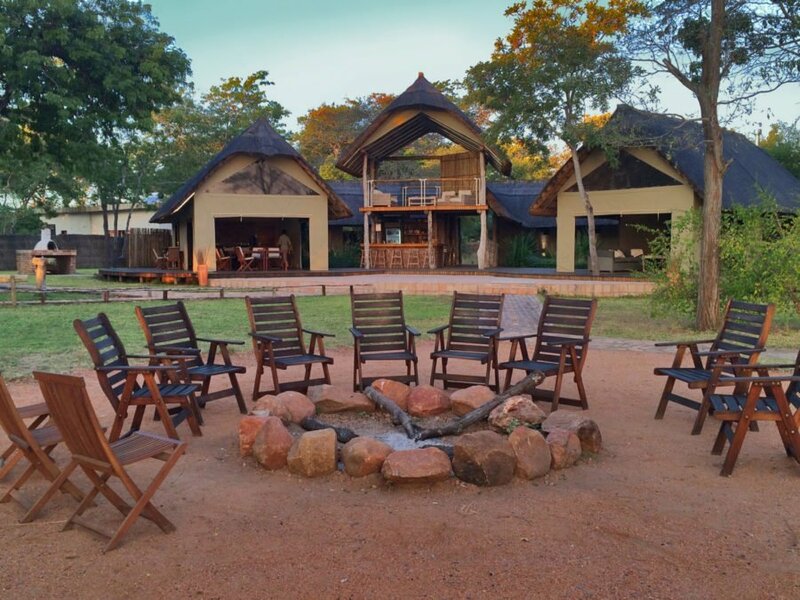 You will also visit the Vukani project, a group of elderly and/or disabled men and women who use ordinary glossy (donated) magazines to make the most beautiful pieces of bead jewellery. 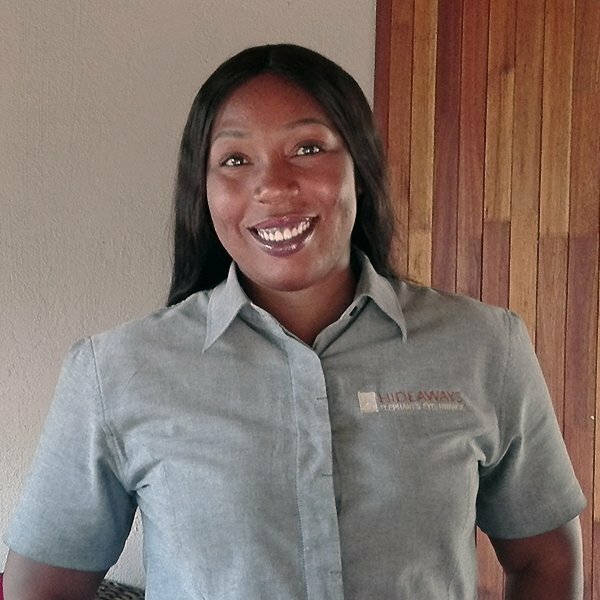 The third project is the Thandanani sewing project; this is a self-sustaining business that the local women who had basic skills in sewing have started. 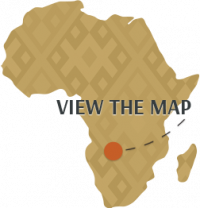 Their designs and fabrics are truly African in style and beauty, the perfect gift for someone back home or simply just to add a touch of Africa to your home to remind you of your travels.